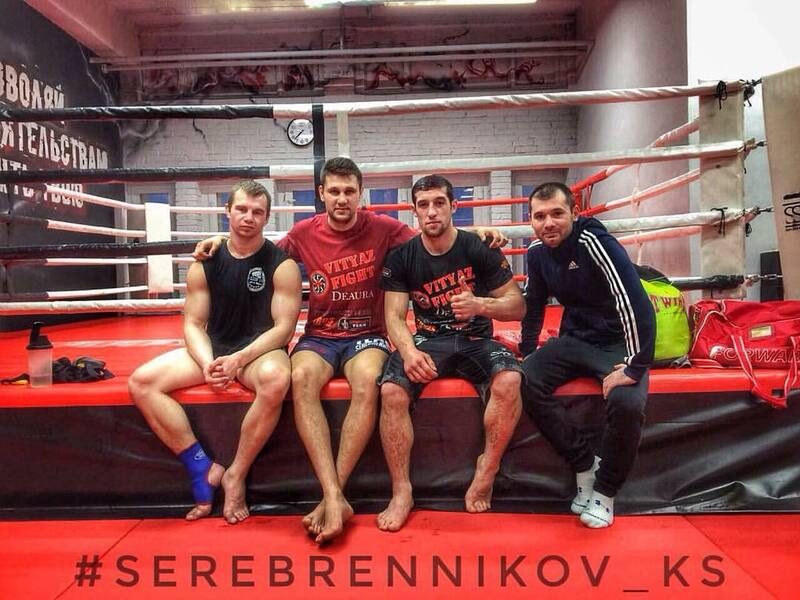 Konstantin Serebrennikov started training at the of 10. He had more than 250 fights, 179 win, 86 KOs. Serebrennikov Konstantin Aleksandrovich, born 11.02.1988 in Tastuba village, Bashkir ASSR. Father - Alexander Serebrennikov, born 20.9.1963, Mother - Irina Serebrennikova (Mikhaleva), born 16.11.1961, Sister - Christine Serebrennikova, born 24.3.1985. 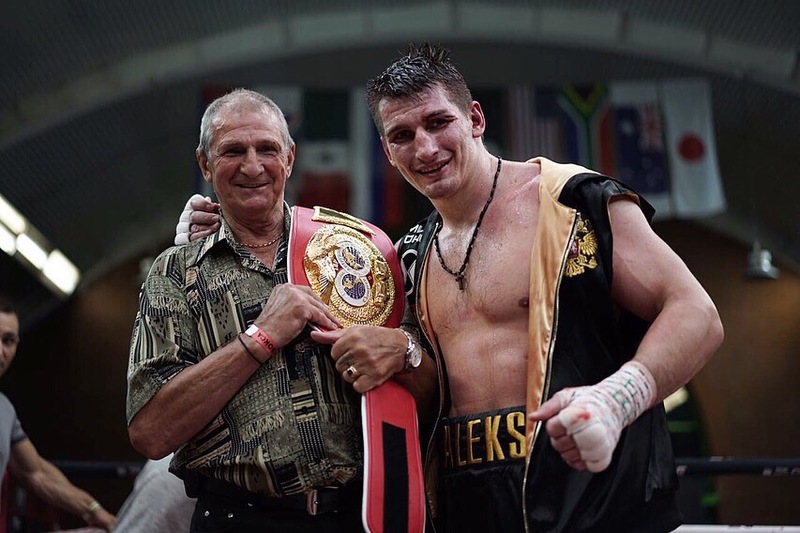 Coach - Siyuhov Kazbek Kushukovich is a very eminent specialist, trained several world champions, such as Sergei Rybchinsky and Azamat Tatarshalov. My sports career began in May 1998. In 2002, I reached my goal by winning Krasnodar region championship. I was selected for Adyghe regional team, and had won the championship of the Southern Federal District. 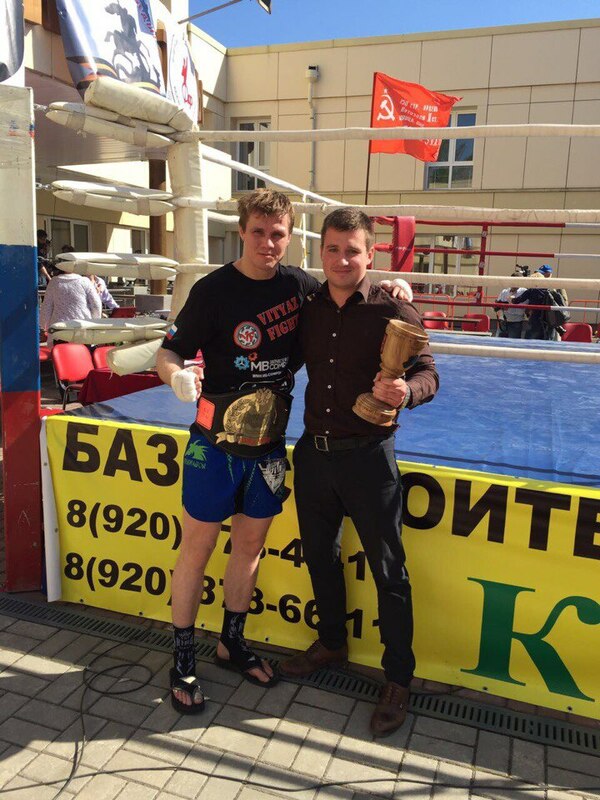 Then I entered the national team and won my first Russia Championship. When I was 14 years old I represented Russian national team for the first time in my life at the World Championship in Greece, on the island of Rhodes and won that tournament. In 2005 I graduated from High School and entered the Institute of Physical Culture and Judo ASU. In 2006, once again I had won the championship of Russia and was selected for the World Championship in Croatia, Zadar, my coach travelled there with me and helped me make my next major step - getting the title of Master of Sports of Russia. In 2007 I had moved to the adult category, and during my first championship of Russia I made the impossible, and immediately got into the national team of Russia. Then a hard adult life began, the real fights which I was training since my childhood, the fights on a professional ring. There were constant travels to competitions and training camps. Then I got a job in Adyghean Republican Children's and Youth Sports School of Olympic Reserve as Athlete-instructor. 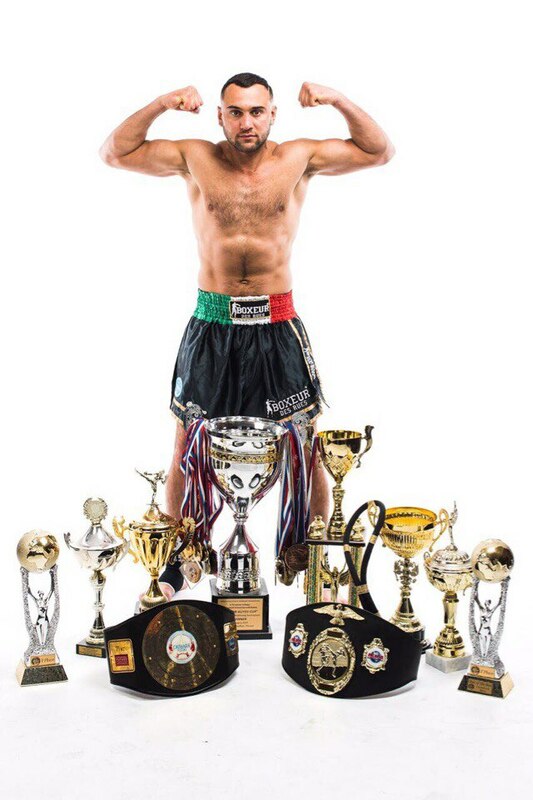 In 2010 I received a diploma of a sports teacher and kickboxing specialist. 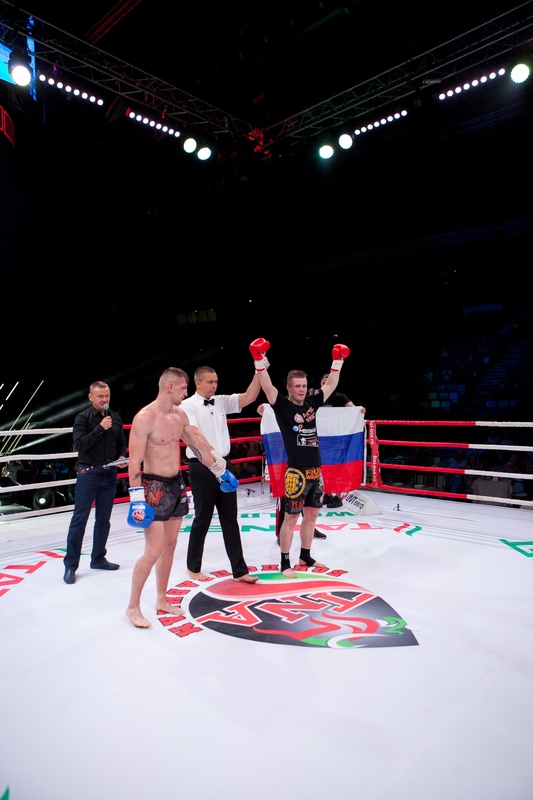 Then I won K1 Russia Championship, and started serving in the Strategic Missile Troops of Russian Army. I had a success there, I was able to perform in competitions, became a finalist of Russian championship and the Champion of the World Cup. After the army I actively continued my carrier as pro fighter and won the Russian pro champion belt, then I got W5 fighter World Grand Prix belt, where right on the ring after winning the finals I proposed my beloved girlfriend Anastasia. We married and on the 5 of November 2015 our daughter, Mia, was born. 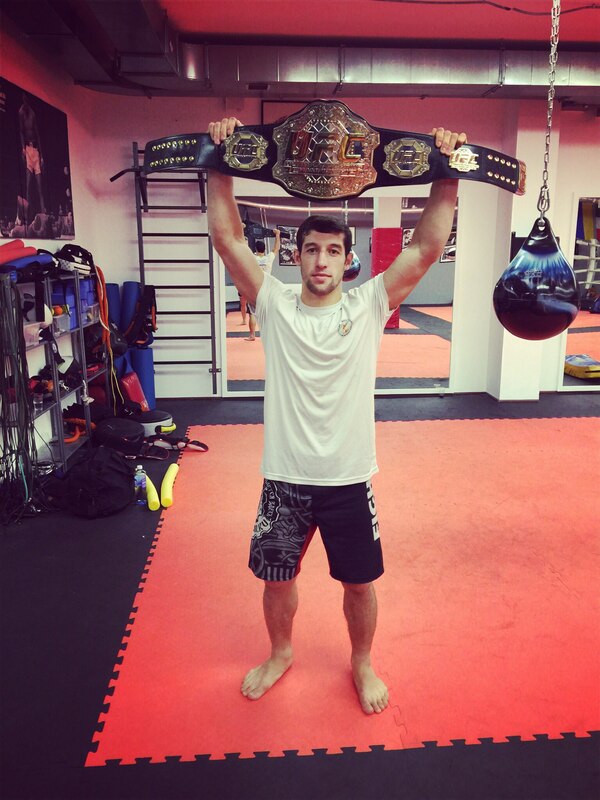 – Champion of W5 Fighter World Pro Grand Prix. Received more than 100 awards. «Being a professional athlete is not easy! 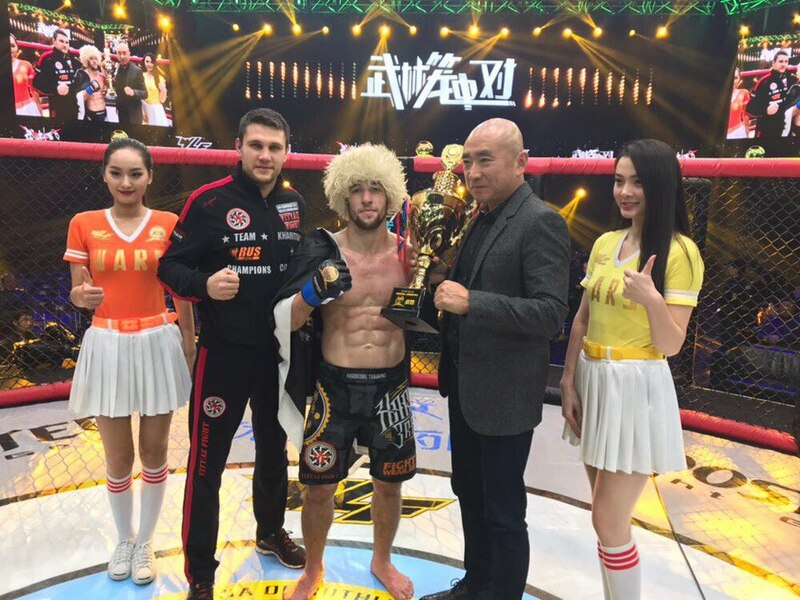 On September 14 in the Chinese city of Zhengzhou an international MMA tournament WLF WAS held, Shamil Gasanbekov won by a highkick to the head knockout in the 2nd round. 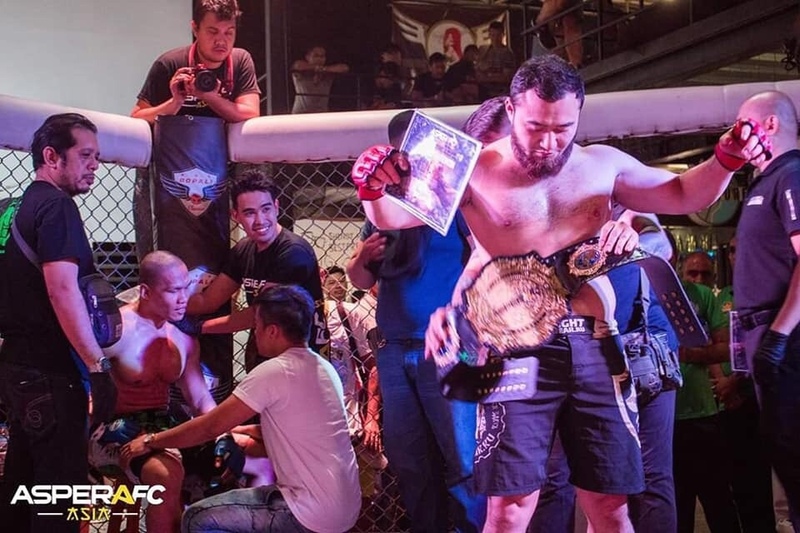 It was his third MMA fight, with early victory in all three fights. The next rivalry will be held in this organization on November 16. 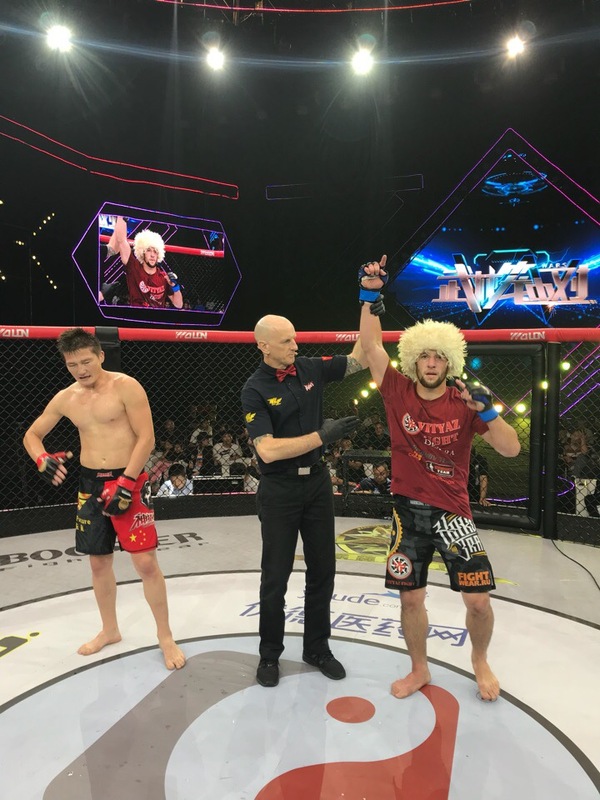 On September 14 in China, Shamil Gasanbekov will have his third MMA-rules fight in at the WLF international tournament, against the Kazakhstan representative. 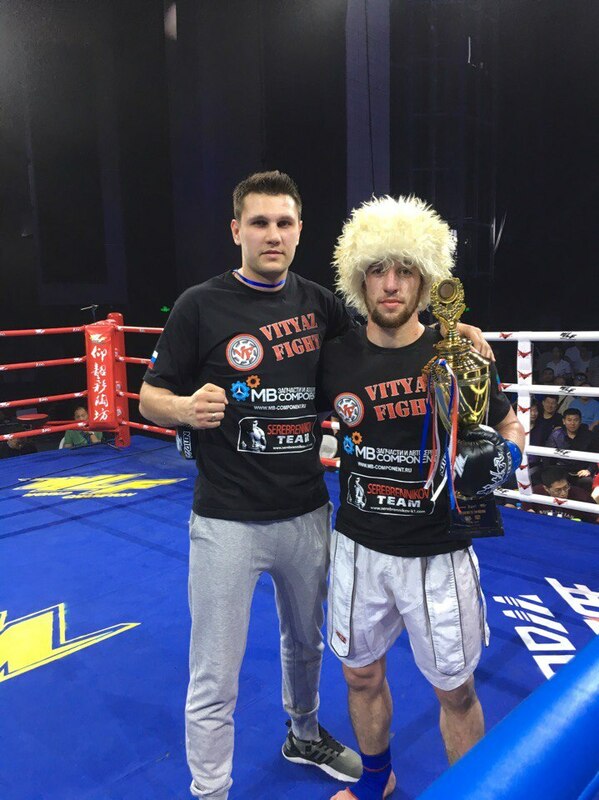 On September 6 in Kazan, Ivan Kondratiev took a convincing victory at the "TatNeft Arena" International Pro Tournament, knocking down in the 4th round the representative of the Chechen Republic of the club Akhmat Saifullah Khambakhadov. 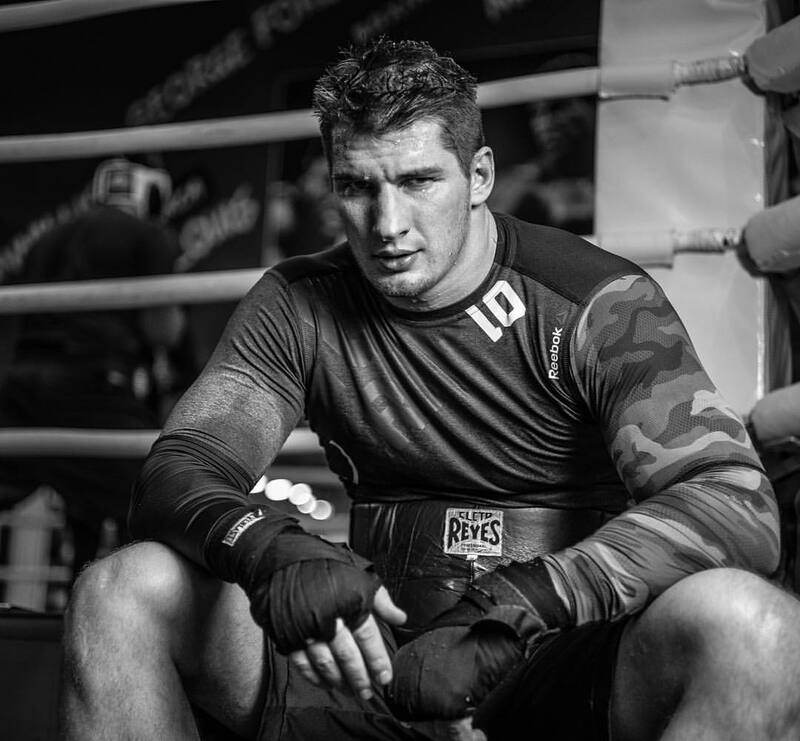 Today on June 23 a Russian puncher Alexey Papin, won the vacant IBF International first heavyweight title. Yet again an early victory in a difficult fight with an experienced and an inconvenient rival from Namibia, Willbeforce Shihepo. 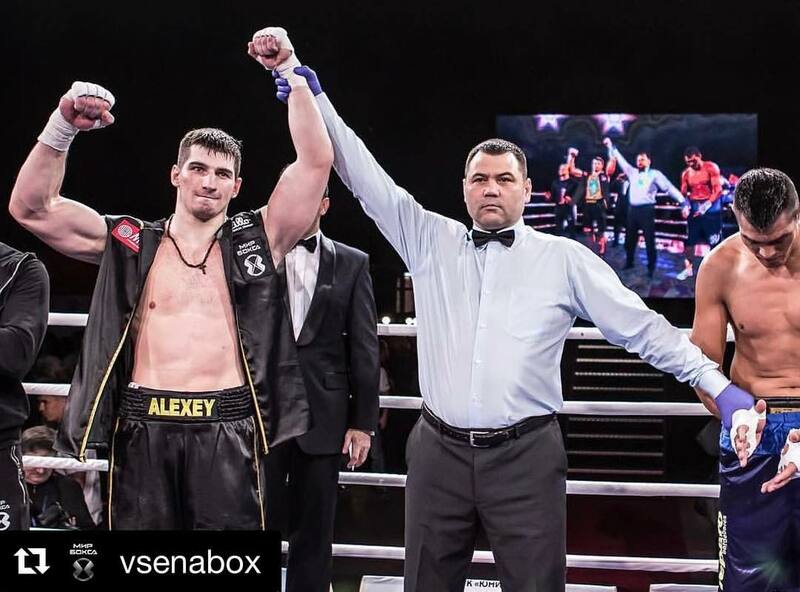 At the last second of the first round Alexei Papin managed to send Shihepo down, but later on the African boxer have been managing to avoid danger in a far from spectacular way by using clinching and appealing to the referee. In the sixth round, after the clinching, Alexei Papin had got an eyebrow cut. 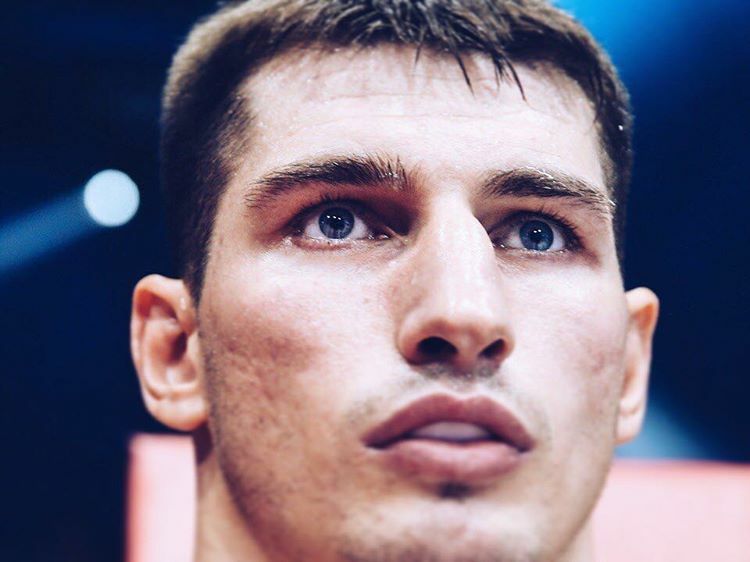 But already in the next round, the Russian puncher managed to knockdown his opponent twice, and the referee withdrew a point for losing a mouthguard on purpose. 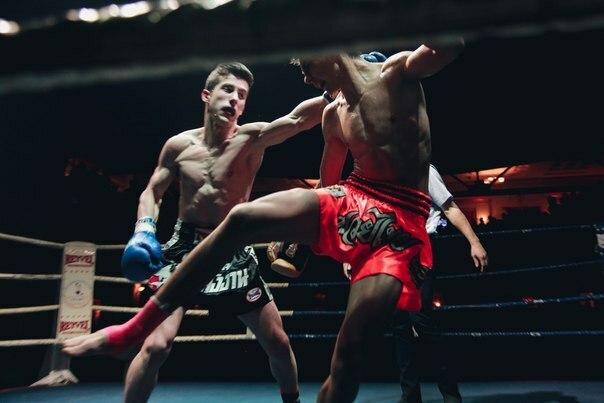 In the next eighth round Alexei Papin made a successful combination near the ropes, and the referee decided to stop the fight, fixing the next victory, tenth in row, for the undisputed professional boxer Alexei Papin. 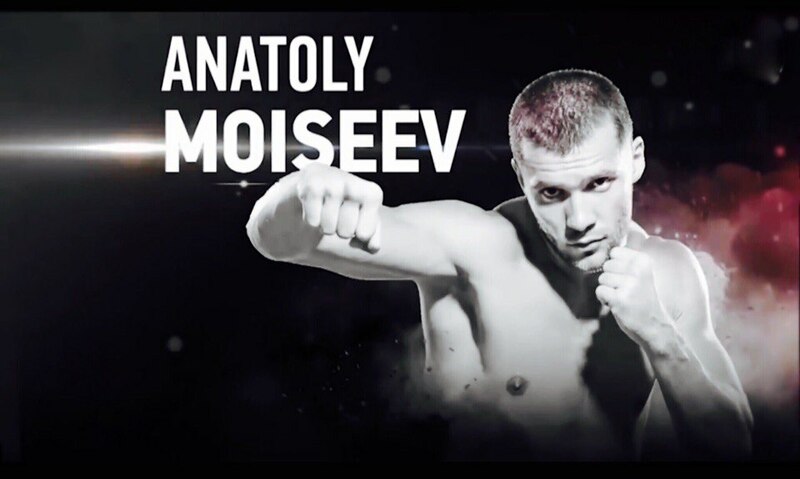 On June 27 at the International Pro Kickboxing Tournament TatNeft Arena in Kazan, Ivan Kondratiev enters the Grand Prix race with another 15 fighters, for the TNA World Title. His rival is Robert Rajevski Junior who represents Poland. 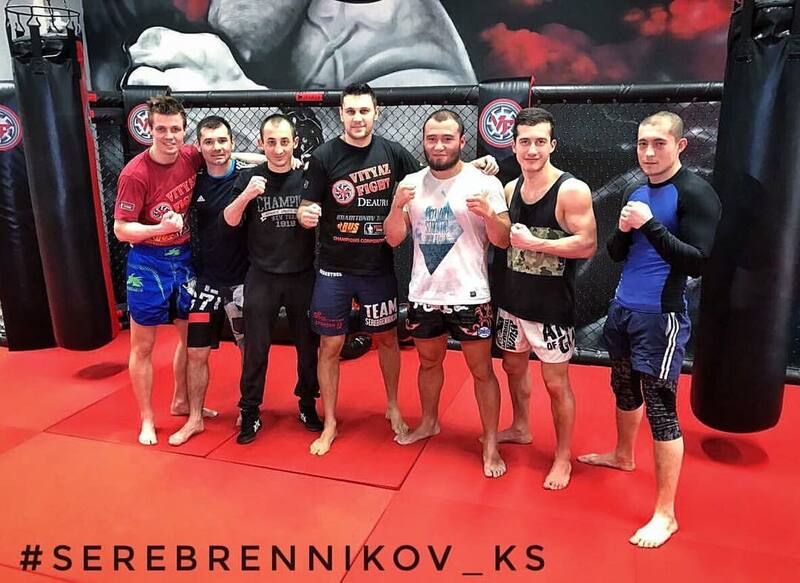 13.04.2018 of Bikmenov Ruslan will fight at the K-1 among professionals in the Russian team at the international match with the national team of Poland. On past 11-20.03.2018 world Cup Thai Boxing WMF in Thailand, Leri Gogokhiya won the bronze medal, losing in the semi-final to the representative of Uzbekistan. 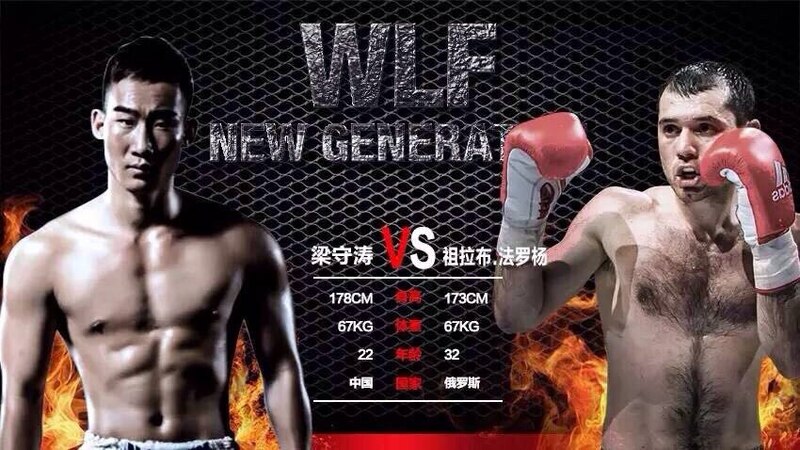 18.03.2010 in China at the WLF international tournament in professional MMA, Shamil Gasanbekov won by knockout in the first round in the first minute. 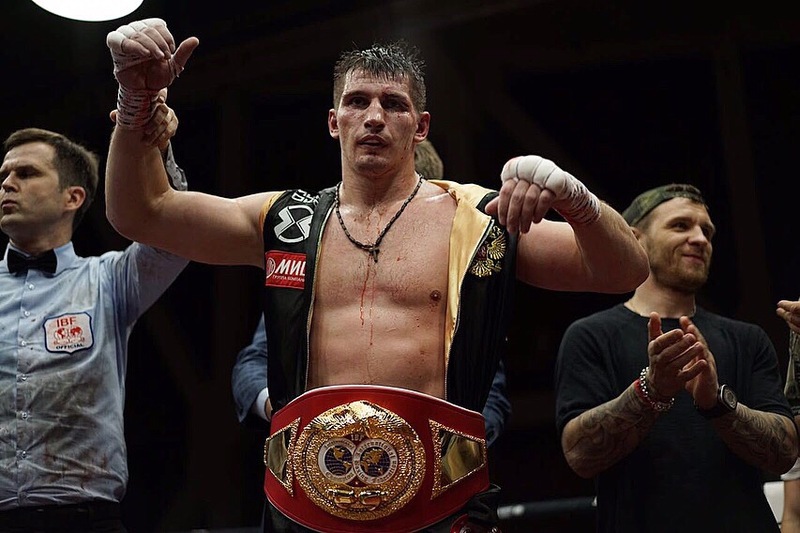 Nov27 a promising russian cruiserweight Alexey Papin (9-0, 8KOs) in the 1st round knocked out Ukrainian boxer, former light heavyweight title challenger Ismayl Sillah (25-5, 20KOs). 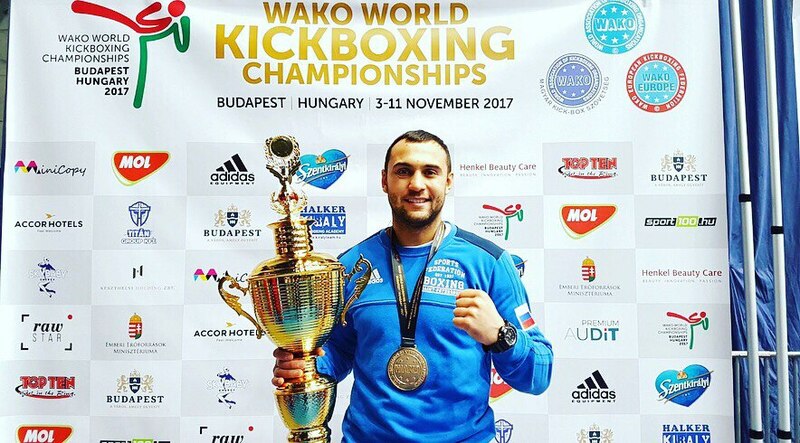 The World Kickboxing Championship in Hungary was completed in Budapest. 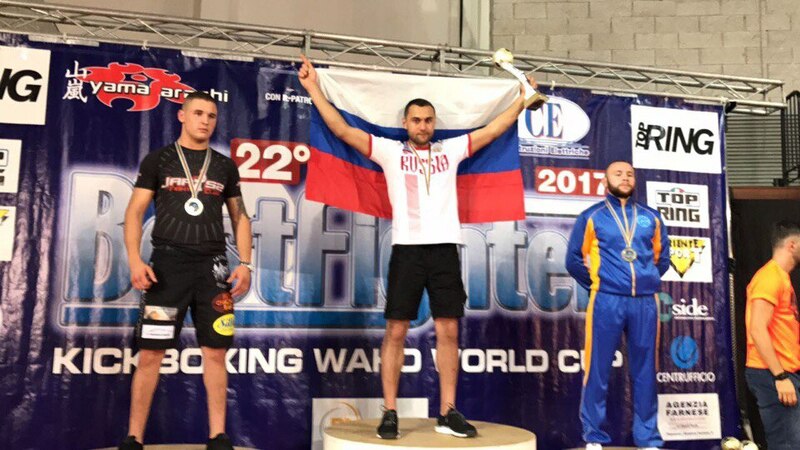 Ruslan Bikmenov received a cup and a gold medal, getting to the top of the podium, being a representative of Russia, he was additionally recognized as the best fighter of the World Championship in the full-contact section with lowkick. 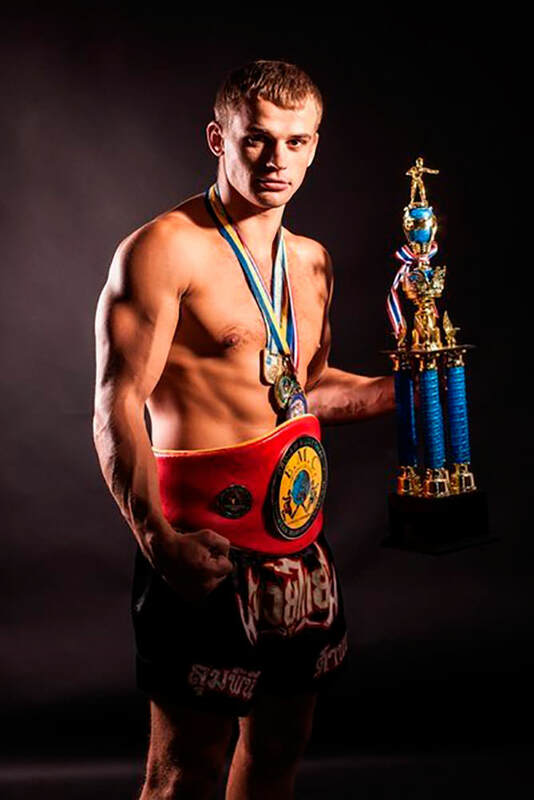 Congratulations to Ruslan Bikmenov, we are very proud of him. Only a victory! 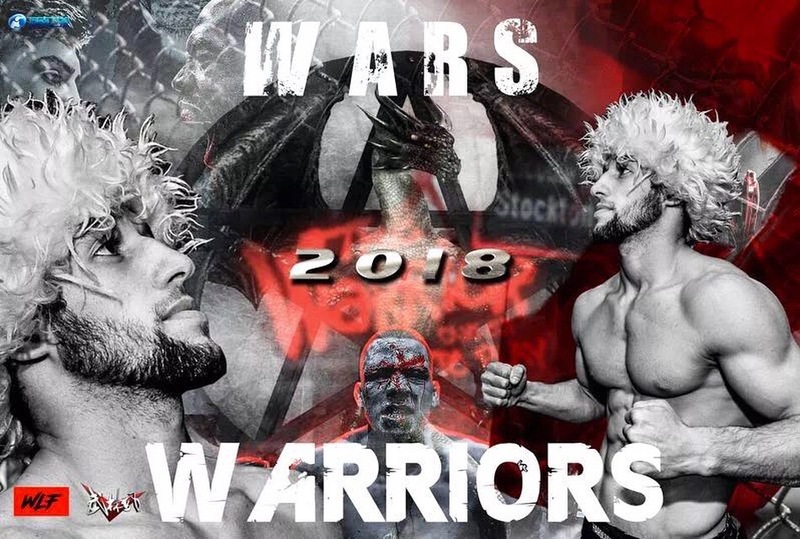 On the 11.11.17 the WLF tournament was hosted in China. 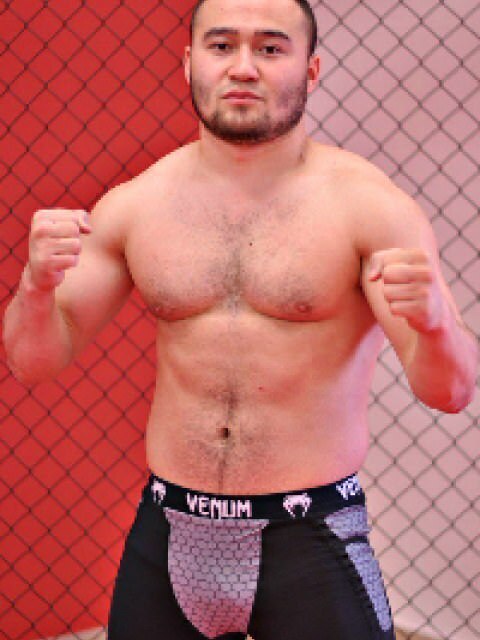 Shamil Hasanbekov successfully debuted in the MMA, having won an early victory in the second round by finishing his opponent. 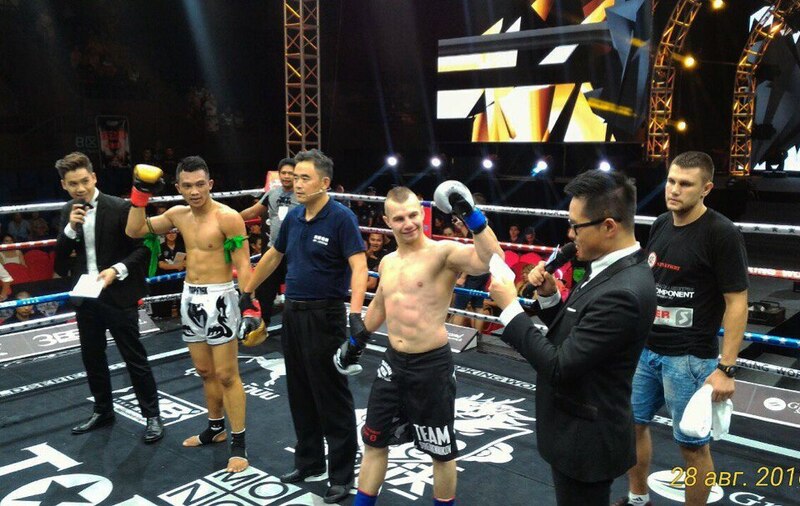 Citing his words: The victory in China in MMA debut was a success, the judge stopped the fight in the second round ... 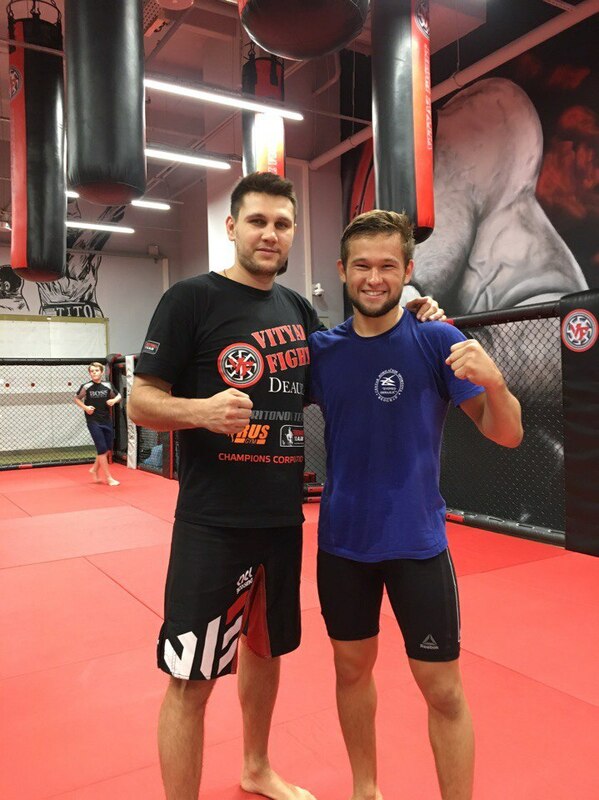 Thanks to all who were rooting and worried, thanks to my coach Konstantin Serebrennikov for always being close and always supporting me, for that he worries about me even more, than I am for myself. Thank you so much. I was offered a MMA contract, so let's move on! 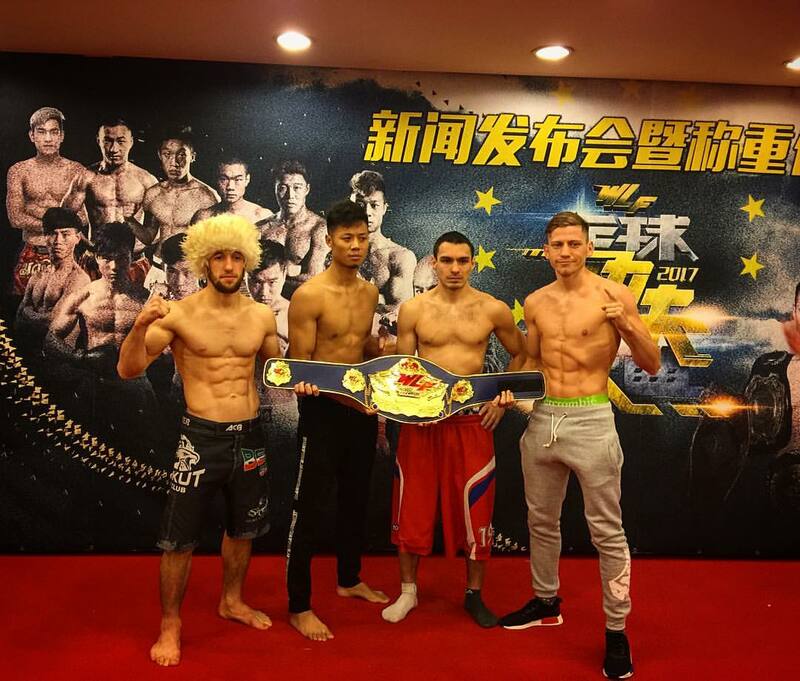 On November 11, Shamil Hasanbekov will make his MMA debut, the fight will be held in China at the WLF tournament against a local fighter. 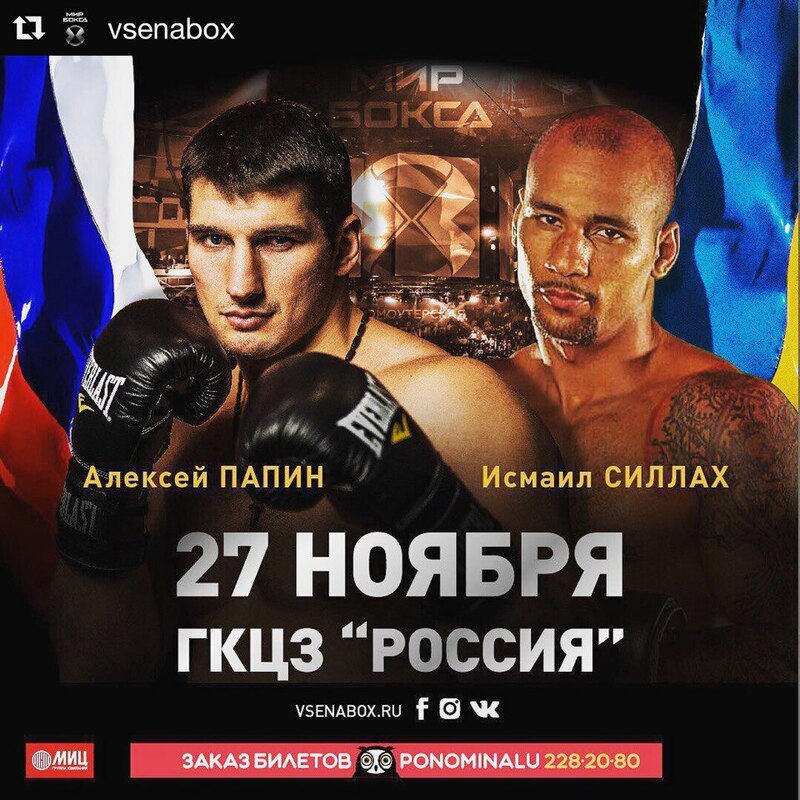 On November 27 in Moscow at the event of "World of Boxing" promotion a promising Russian first heavyweight boxer Alexei Papin (8-0, 7 KOs) will fight against the Ukrainian boxer Ismail Sillah (25-4, 19 KOs), who is a former contender for the light heavyweight title and current WBO Asia Pacific title holder in the first heavyweight. 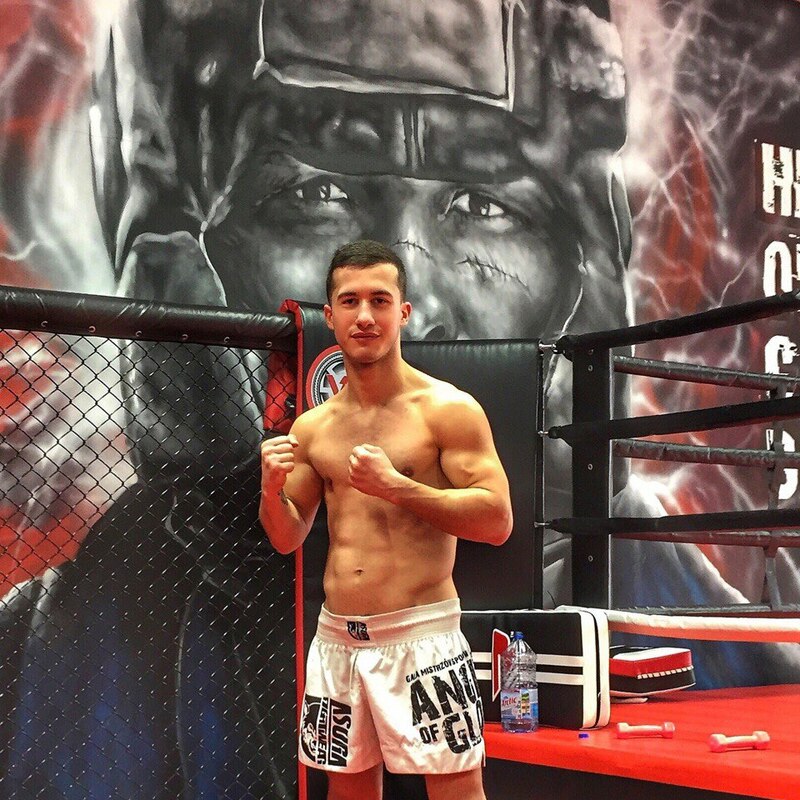 30-year-old Aleksei Papin had three fights this year and won all of them by early KO. 32-year-old Ismail Sillah moved to the first heavyweight in 2015 and had six fights in this weight, resulting in four victories. 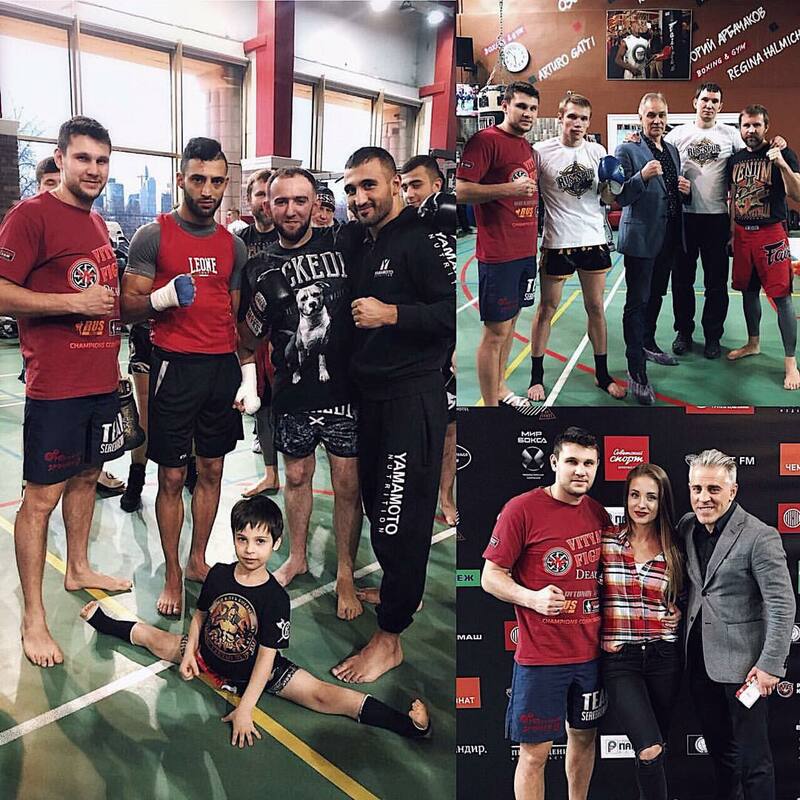 On the 22 of October 2017 Leri Gogokhia will fight in the main event of the evening at the tournament in honour of opening UMA fight club, at the address: Moscow, 47 km MKAD, village "Govorovo" 20, "NASH" hypermarket, fitness center 100%. 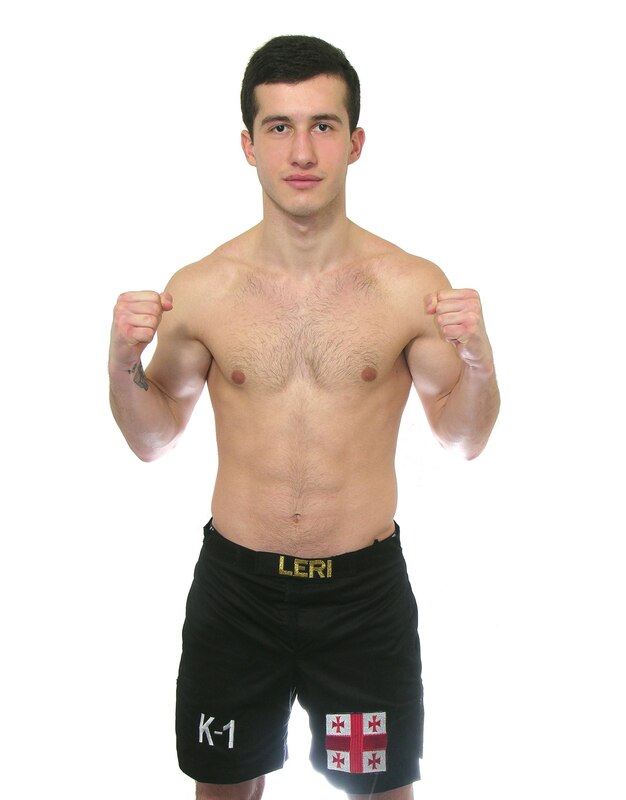 The fight will be held according to the rules of professional K-1, 3 rounds for 3 minutes Leri’s opponent in this fight will be Galimov Nurlan, Master of Sports of the International Class of kickboxing. 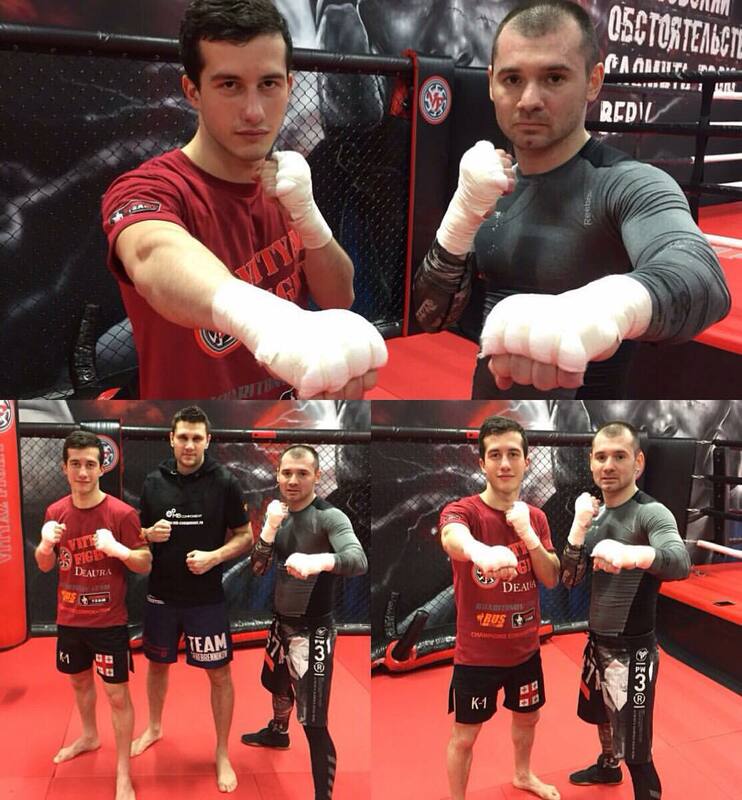 In the career of a professional fighter it is very difficult to reach the peak of the form at the right time. You have to be ready nor sooner nor later of the fight day. And you have to avoid getting injured, while the risk is going up since your immune system weakens as side-effect of a weight loss. 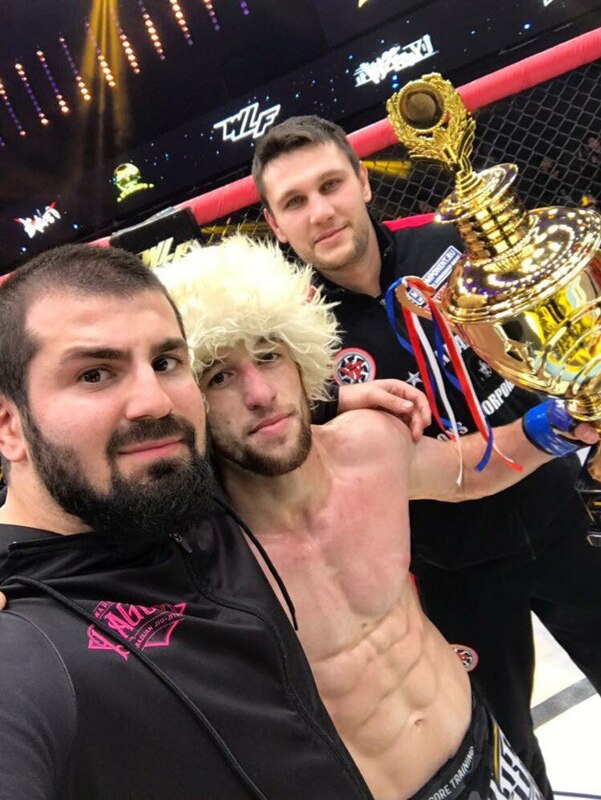 The other day it became known that the rival of Hasanbekov Shamil was injured and will not be able to perform in the Octagon on September 16, a quick substitute could not be found, so the Shamil’s debut for MMA is postponed to the next tournament. I quote Shamil's words: "For all the will of the Most High, it means that there was an opportunity to prepare better, there is something to work on and become stronger"! 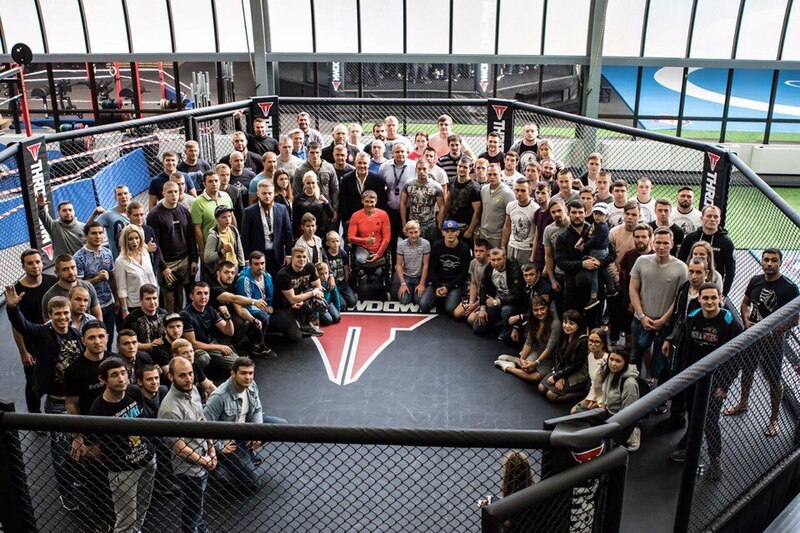 On the 3rd of September a master class from the leading athletes and coaches of Russia took place in the IVANS club. 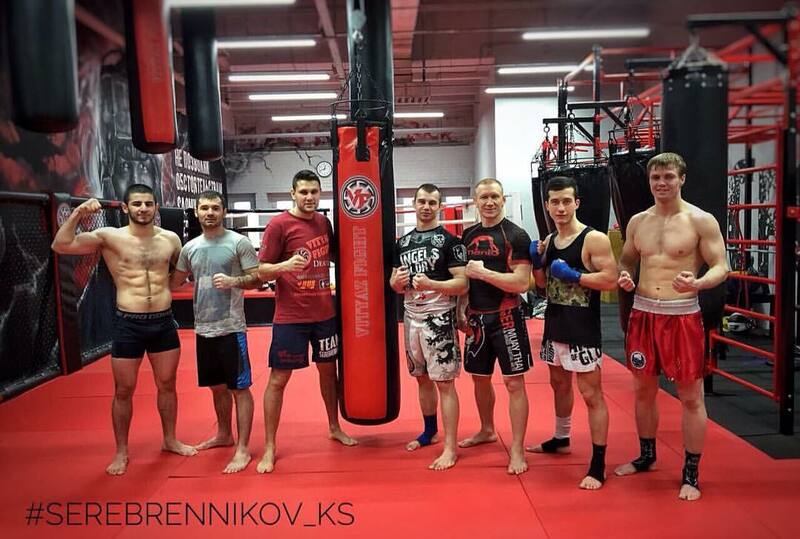 Alexey Papin, Sergey Kharitonov, Ali Bagautinov, Sergey Khandozhko, Alexei Makhno, Evgeny Smirnov, Konstantin Serebrennikov, Andrey Ivichuk, Georgy Chelokhsayev, Batyr Altyev and others took part in this workshop for martial artists. All money received went to the treatment of Dima Sourodeev and Sasha Kolesnikov. 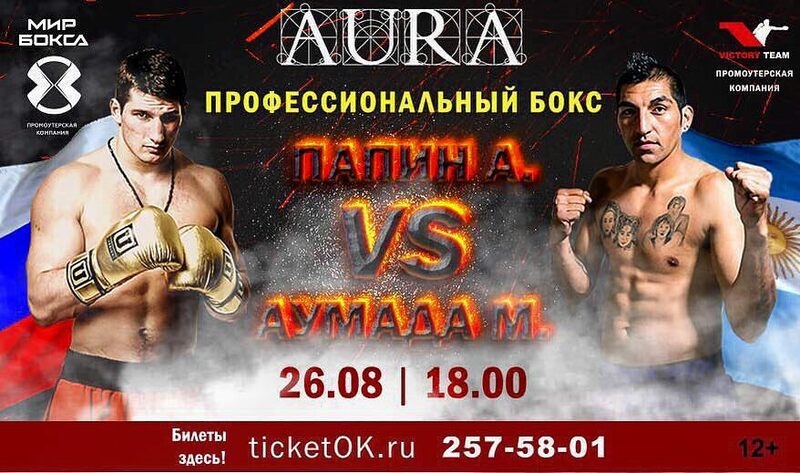 On August 19, they were returning after weighing for the mixed martial arts tournament of the MMA Student League, their car was hit by a truck. At the moment, Sasha and Dima are both under the supervision of doctors and maintain in a serious condition. 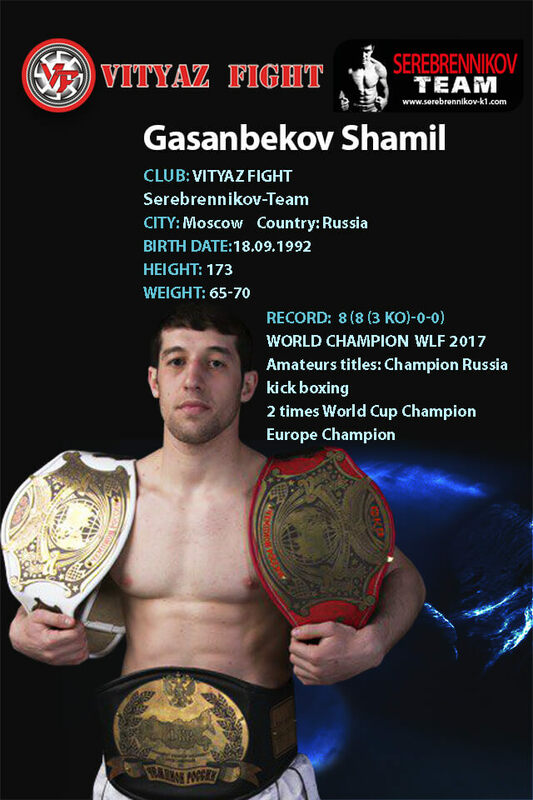 The MMA debut of the multiple world champion in kickboxing, including the version of WLF, Shamil Gasanbekov is scheduled for September 16. 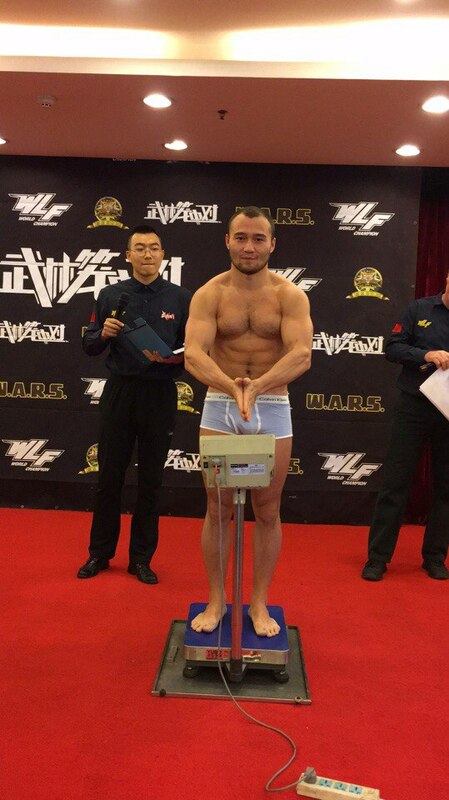 It will happen in China, and his rival is a local athlete, the press service of Vityaz Fight reports. 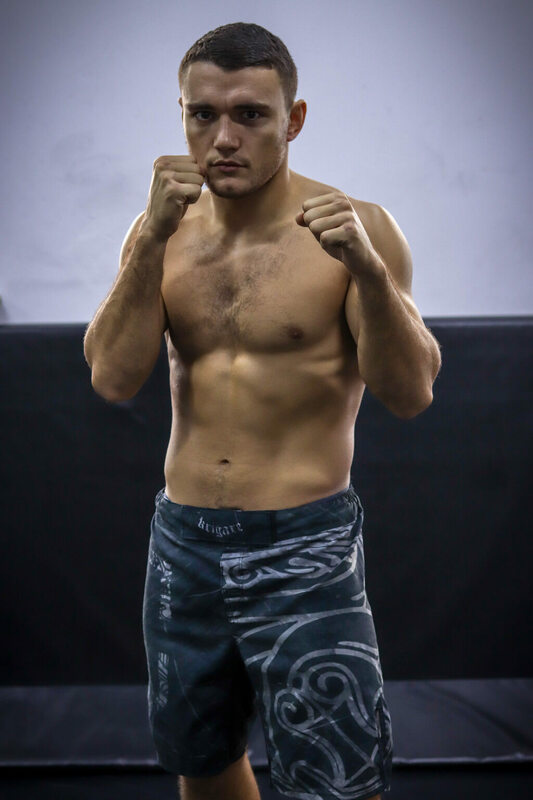 24-year-old Gasanbekov is a two-time Amature Kickboxing World Champion, a gold medalist of the European Championship, he also has the WLF title, which he won in the Grand Prix. 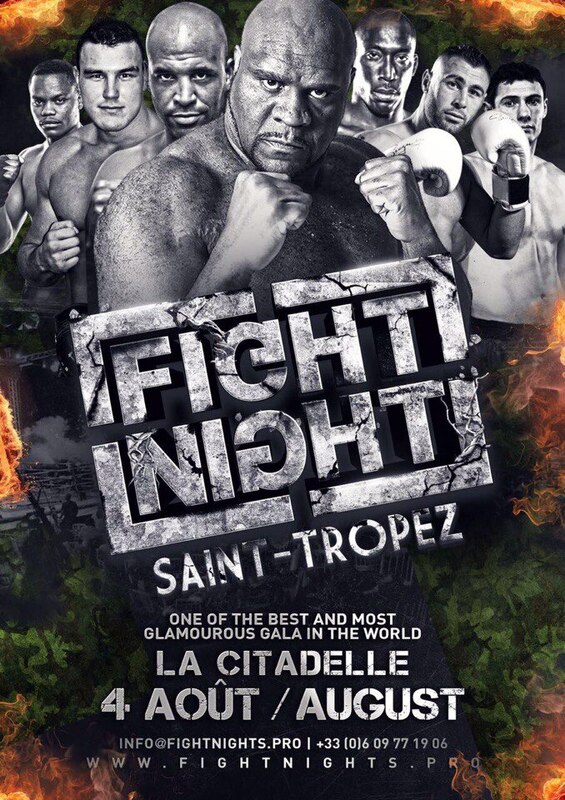 Eugene Kurovskoy will have his next fight on the 4th of August at the Saint-Tropez Trophy Fight Night. In this super fight his opponent is Umar Semata from France. It will be 3-round 3-minute no-extra-round K1 rules fight in 69kg category. 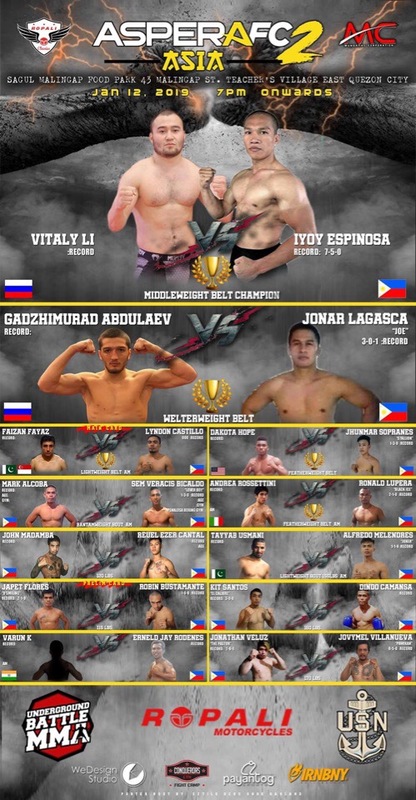 On 10th of June 2017 a professional kickboxing tournament “Glory 42” was held in Paris, France. 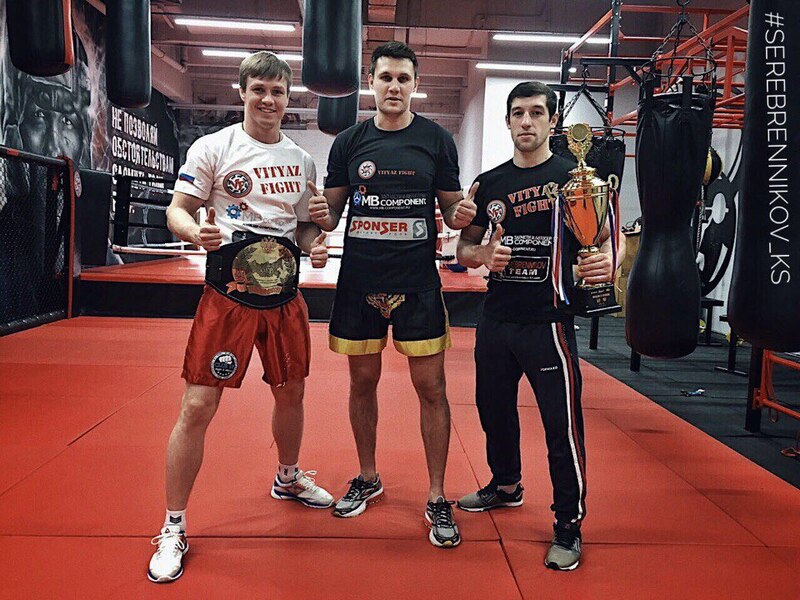 Anatoly Moiseev, 2nd in the organisation rating, became a competitor of the qualification for Glory World Champion title. 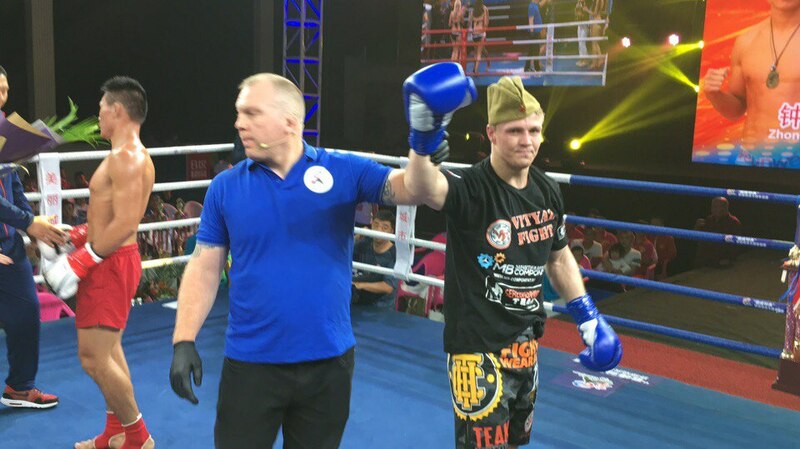 Athlete from Russia lost by split decision to Chris Baya, a kickboxer from Holland. 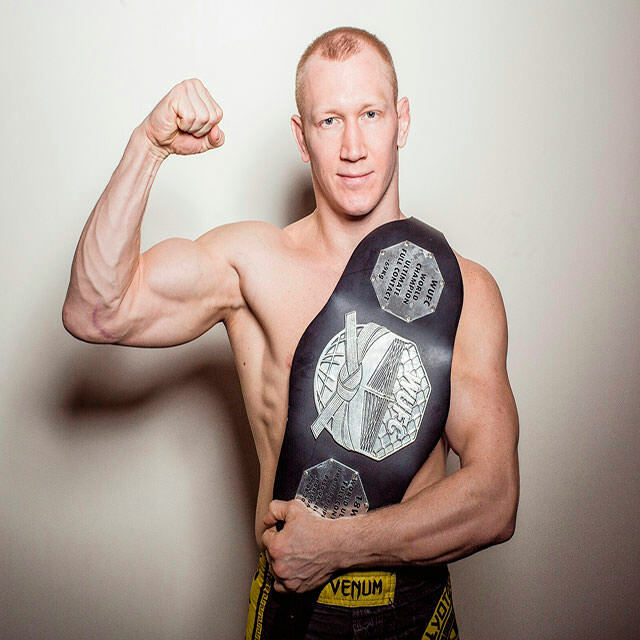 In the second semifinal fight Niclas Larsen lost to Massaro Glunder by TKO in the first round. 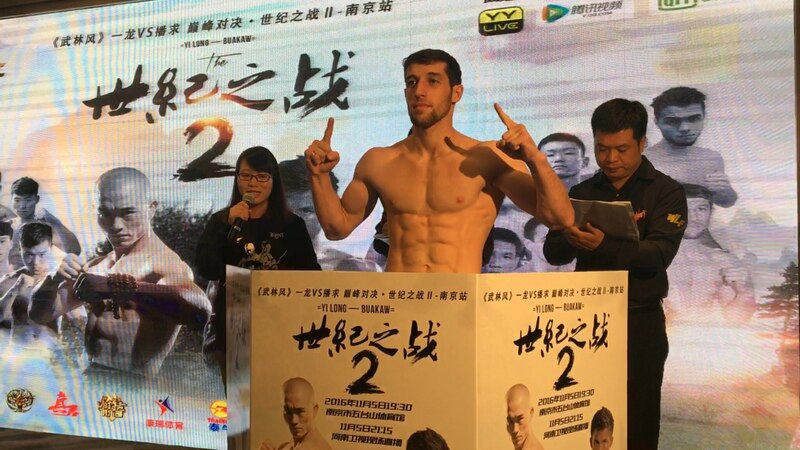 The official weight-in ceremony of professional K1 & MMA tournament "KUNLUN FIGHT" took place in China on May 24, where Vitaly Lee's opponent weighted in 4kg over. 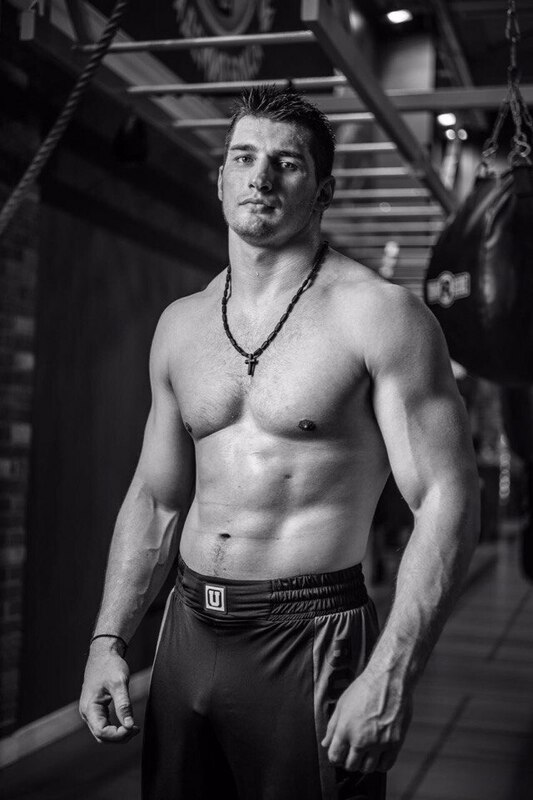 On the fight day Vitaly received his fight fee, he was told that the fight will take place in a month and was sent home. 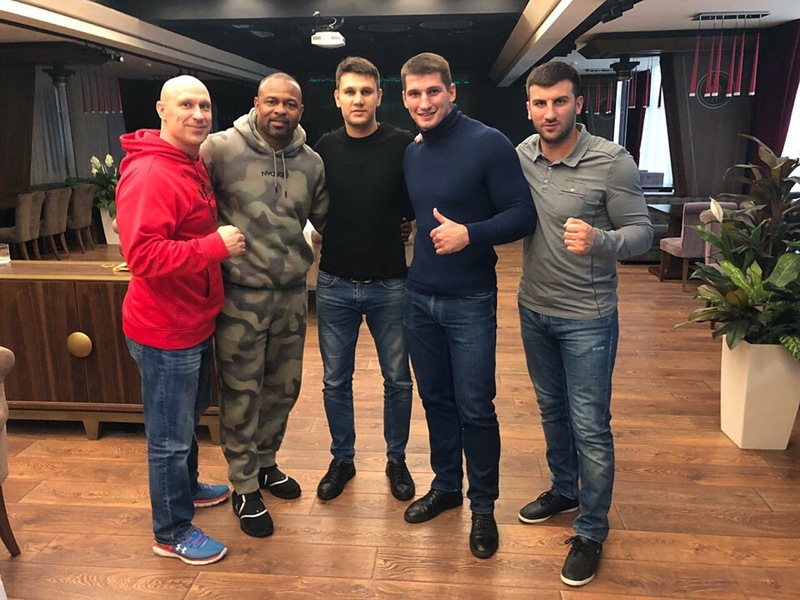 Famous Russian boxer of the first heavy weight Alexey Papin(6-0, 5 KO's) his next fight will hold on may 27 in the city of Voronezh as part of the Boxing show "Fights of the future". 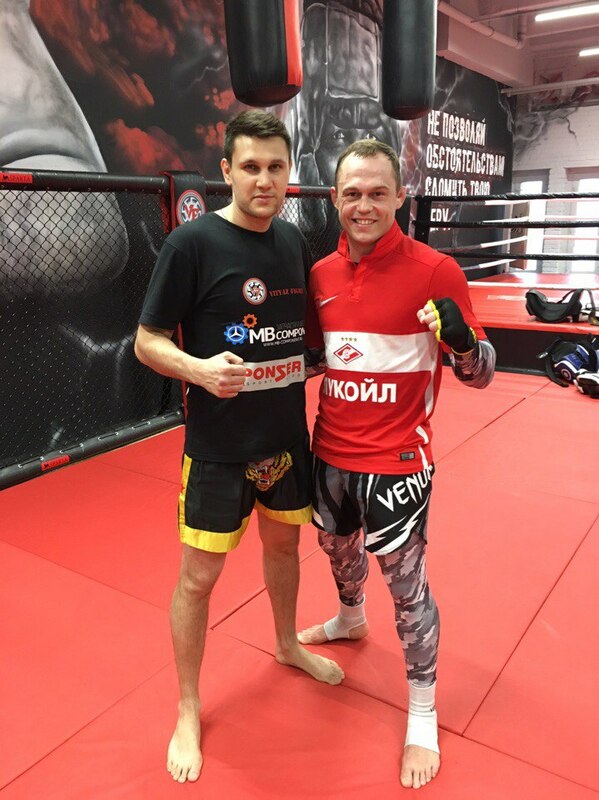 At the moment Anatoly Moiseyev trained under the guidance of Konstantin Serebrennikov in "Vityz Fight" to the performance at the tournament "GLORY" which will be held June 10 in Paris. 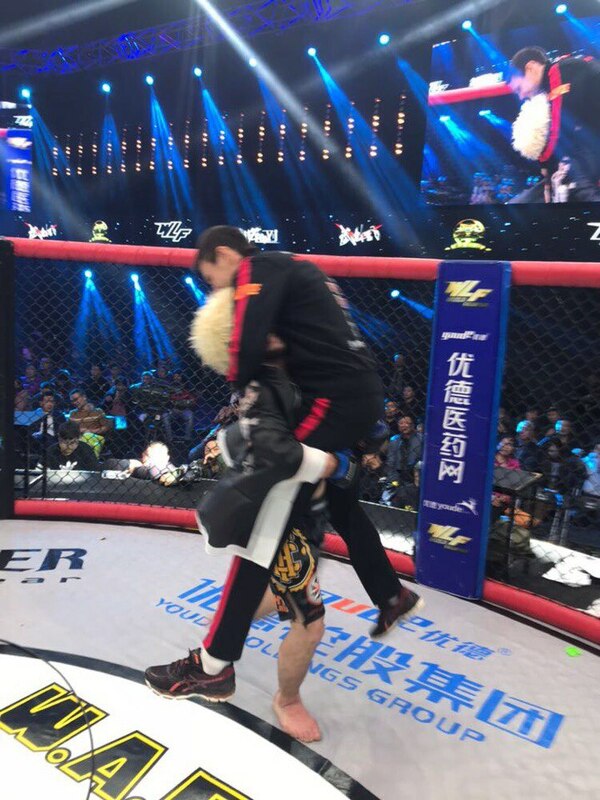 Vitaly Lee, will perform may 25 in China, for the tournament, "KUNLUN FIGHT" in weight category of 84 kg, Copernicus will become a famous Chinese fighter who first got into the UFC Wang Sai. 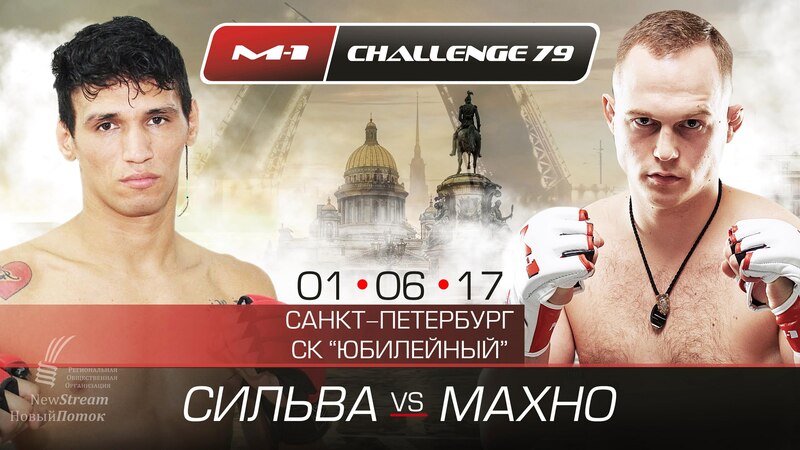 June 1 at the Grand international mixed martial arts tournament M-1 Challenge 79 the owner of 14 knockouts Michel "Sassarito" Silva (Brazil), 18-5-1 will fight against the Russian puncher Alexei Makhno (Industrials Team), 13-5. 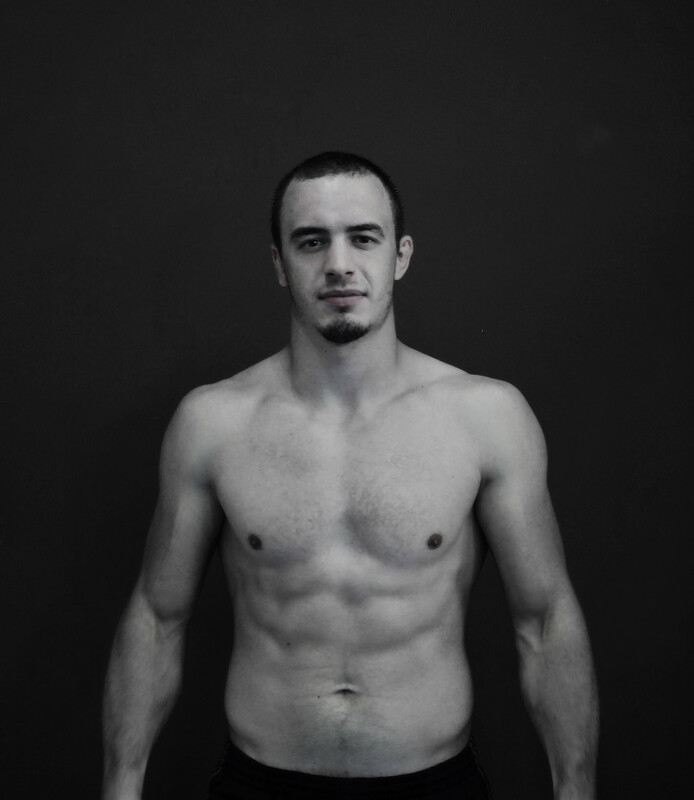 With very high growth for light weight, Brazilian Michel Silva has a very unusual technique, reminiscent of the style of the brothers Diaz. 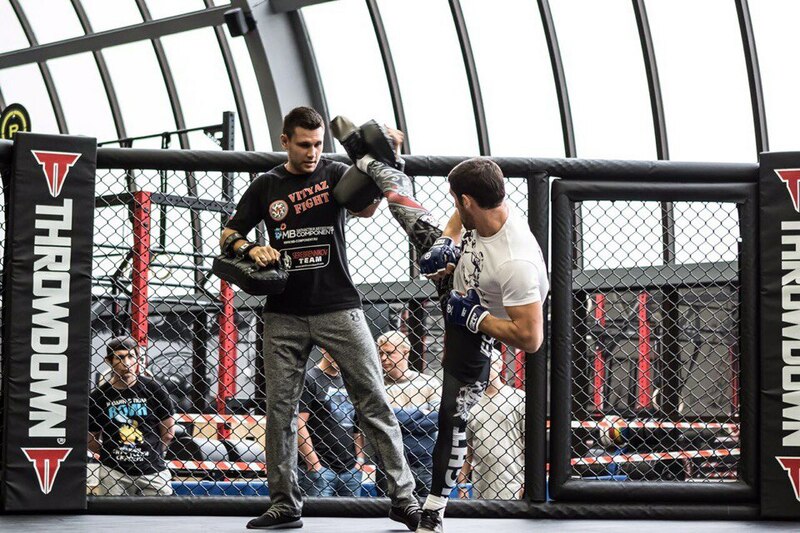 Silva constantly pressure his opponent, going forward with an open visor and at the same time throwing punches and kicks from unexpected positions and at any angle of attack. All this leads to the fact that the fights with his participation, is automatically transformed into a wild cabin in the front, in which both players do great each other with a huge damage and the fight goes on the principle "who the first will fall to a knockout". To honor "Sassarito" we must recognize that these foreign it kept coming out the winner, with 14 knockout wins out of 18. And no one has been able to win it early – all 5 losses were by decision. 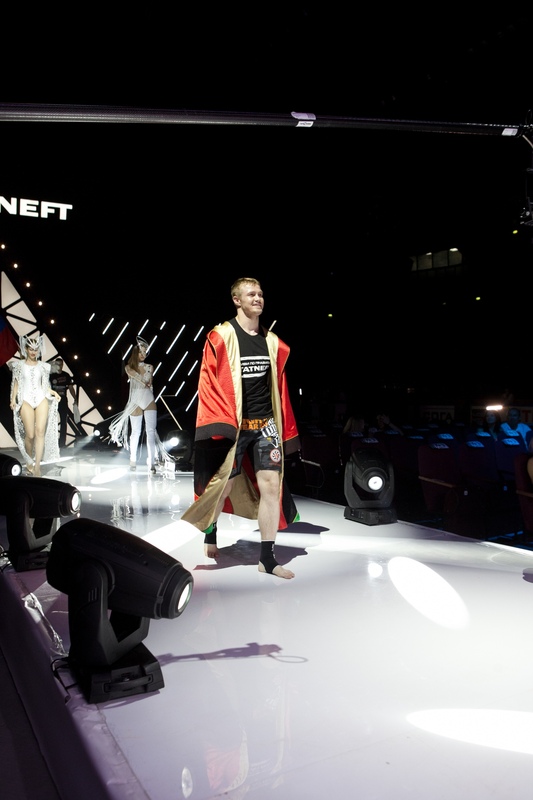 Alexei Makhno once again the moment of truth – defeat against Artem Damkovsky revealed a number of problems in its preparation, but Alex once again demonstrated the indomitable desire to fight the strongest opponents and the ability to go to the end in any battle. Fight against Brazilian drummer will be for him a serious challenge and retreat of the Russian nowhere. 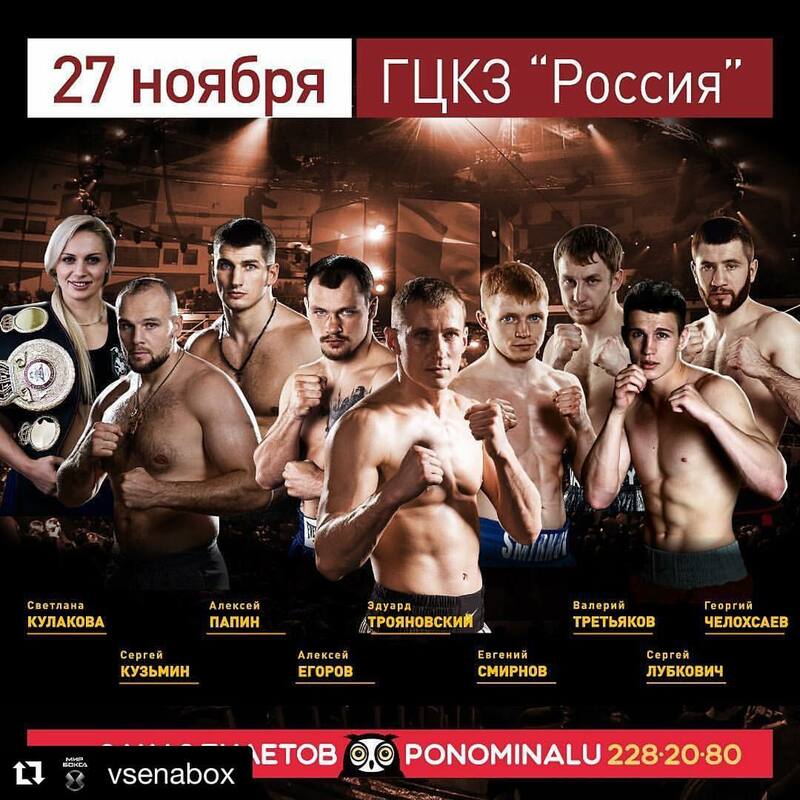 Two puncher, puncher of the two, two slayers – this game initially looks like one of the main contenders for the bonus for "fight of the night", and given the desire and Michela Silva and Alexey Makhno to fight not sparing himself and the enemy, these two will not disappoint the audience. 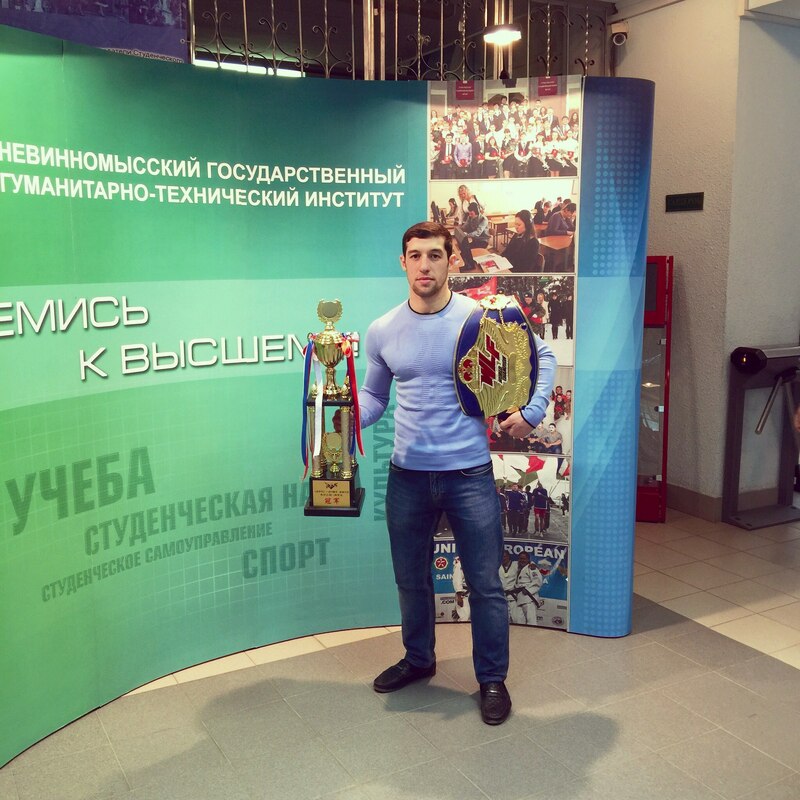 Ruslan Bikmenov took 3rd place in K1 Russian Championship in Grozny in the new 81kg weight category for him. Tonight at 10pm Moscow time two guests, Konstantin Serebrennikov and Vitaly Lee will be live on Sport FM radio station. We will discuss interesting moments of the training process, some secrets will be revealed. Tune up to Sport FM! We are locked and loaded! 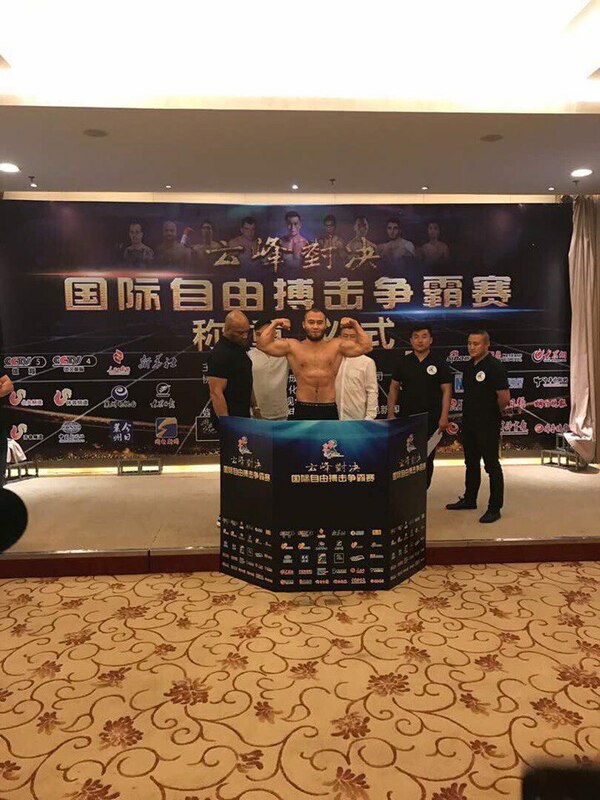 Tomorrow Zurab Faroyan is scheduled to fly to China to fight on 25th of March by K1 rules in the Shian Sin U Tai tournament. 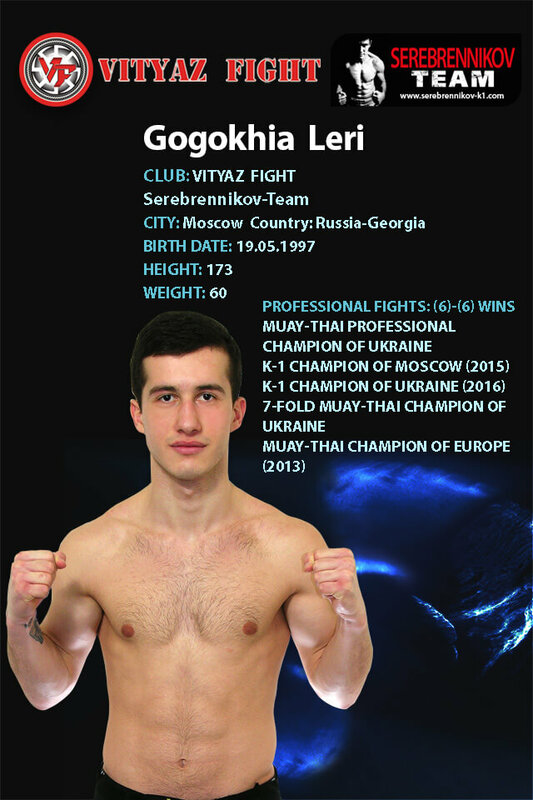 Leri Gogokhia will be boxing on March 31 in Grozny by Pro Muay Thai rules. 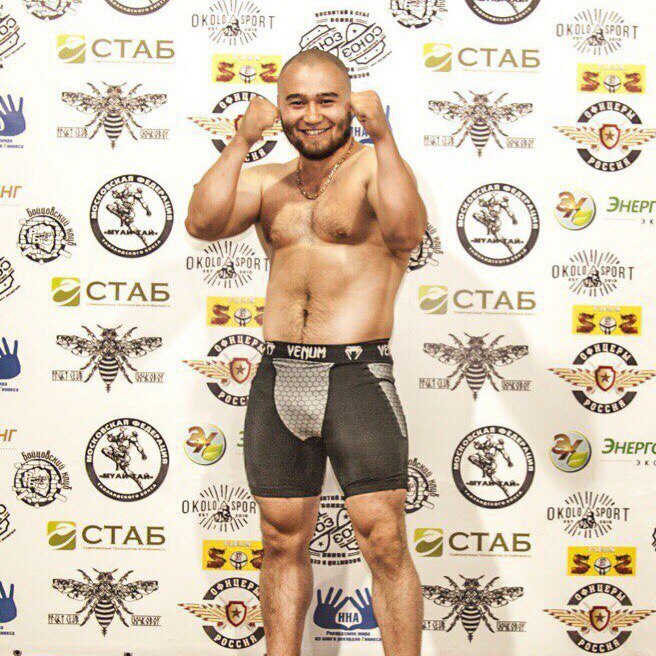 Dear friends, on March 31 Leri Gogokhiya will fight in the "Akhmat club" Muay Thai tournament by the rules of professional muay thai. 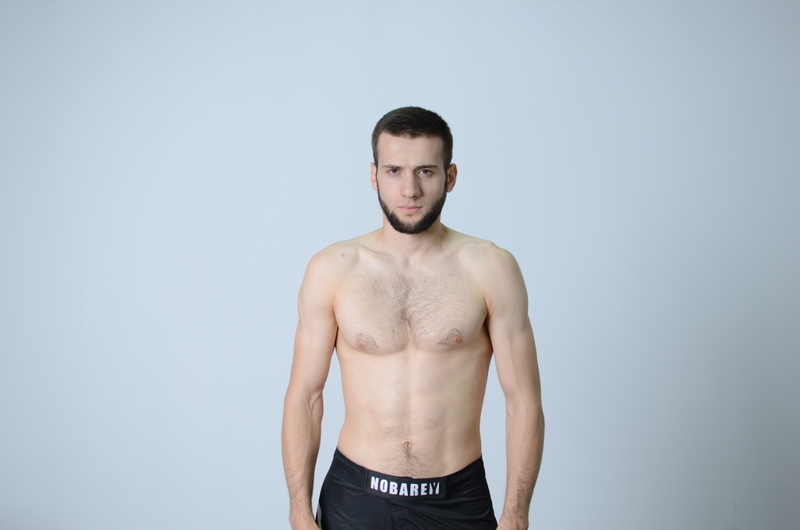 His opponent is Ramasan Alaverdi, a fighter from Chechen Republic. Preparation is in full swing! 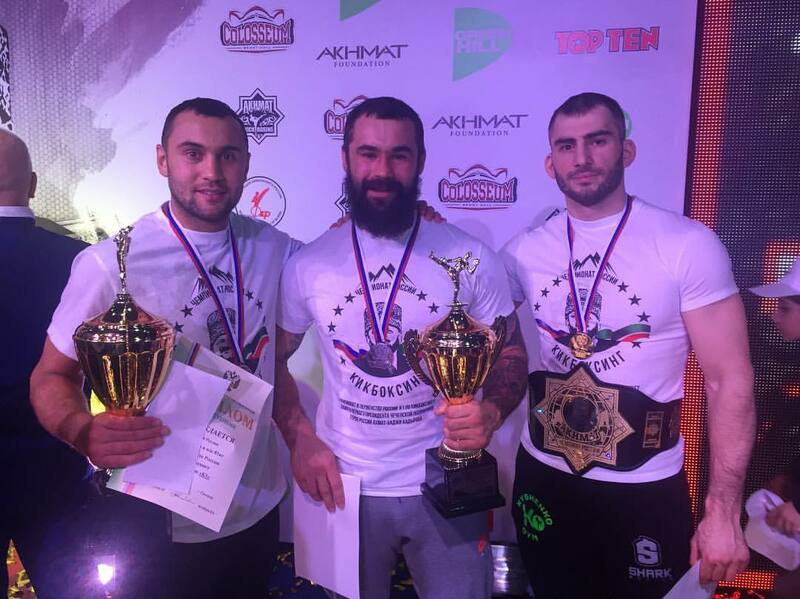 Finished the championship and the championship of Moscow, the soldiers took the following prizes ... Arsene Eremyan first place, second place Leri Gogokhiya, third Ivan Kondratyev. Congratulations to the men and wish to achieve the best results in sports. On sunday March 5 in Balashikha’s Ice Palace Alexey Papin will have his 6th pro boxing fight against an Argentinian fighter with pro record of 14-1 FREE PASS Come to witness beautiful fights! 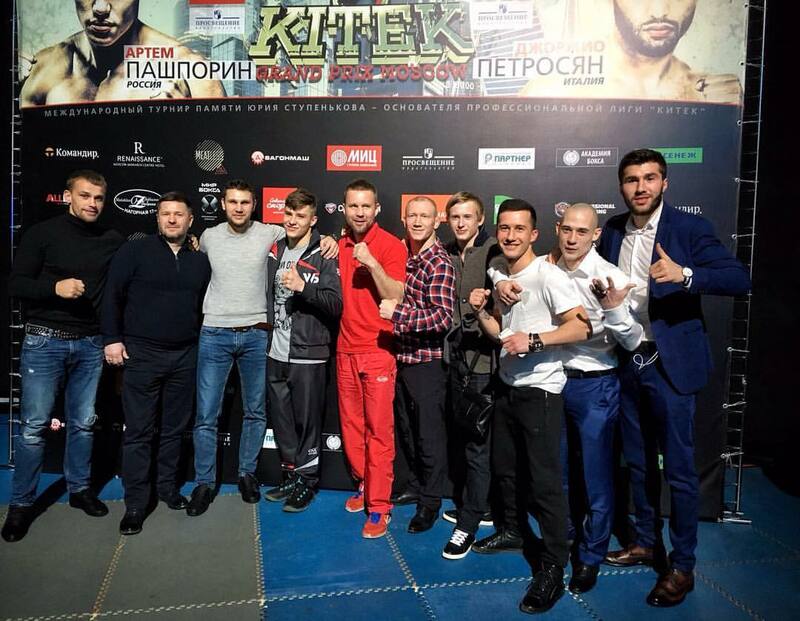 W5 pro kickboxing international tournament Moscow, February 18, at the ground of "Dynamo Krylatskoe" sports palace was held the big professional kickboxing night W5 Grand Prix KITEK 2017 dedicated to the memory of Yury Stupenkov. 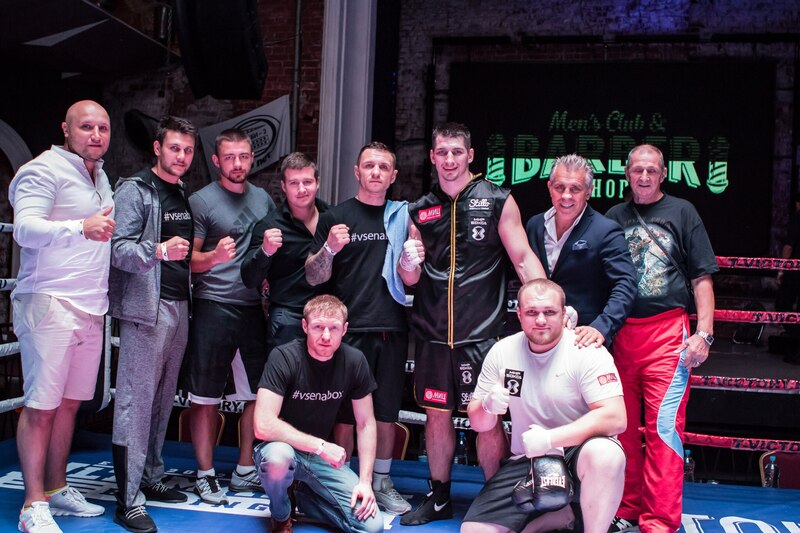 The event was organised by "World of boxing" promotion company. 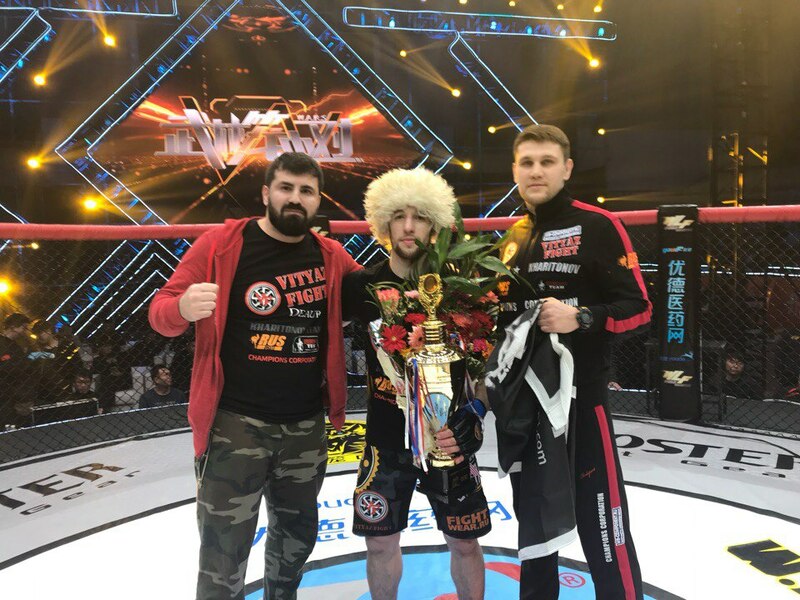 The main event was the title fight of the W5 world champion Artem Pashporin against the legend of the world of kickboxing Giorgio Petrosyan who was at the status of the contender. 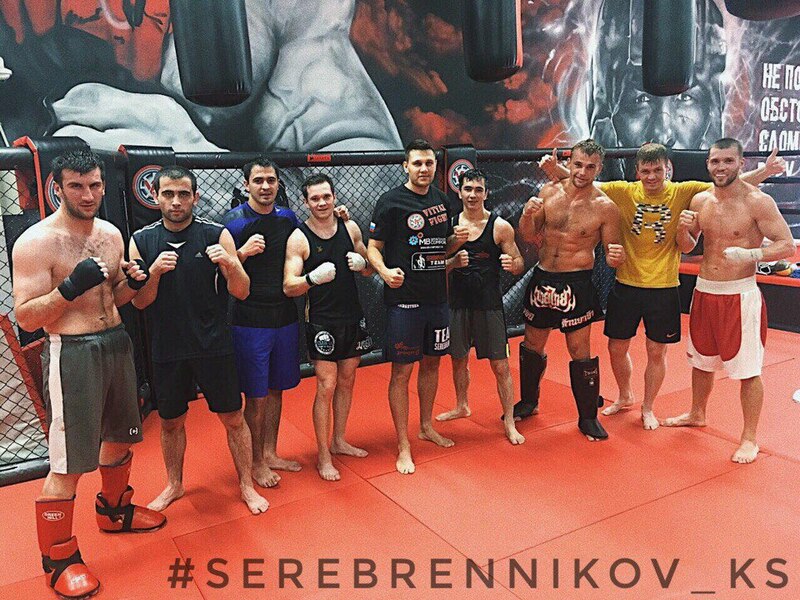 Five rounds long bout became the evidence that Petrosyan is still the best fighter of the middleweight division, in great shape and is able to pick up the keys to the most difficult opponents. 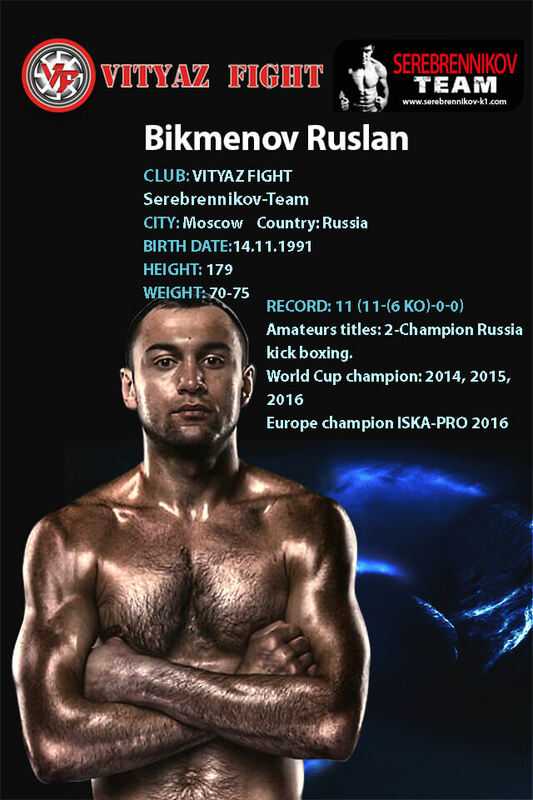 With the first round the "Doctor" confidently took the center of the ring and put pressure to the Russian champion, trying to catch him in a corner and to shoot. It seemed that Artem moves a little timidly. However, in the first round it has been suggested that this is just a neat intelligence, and soon the champion will go to storm under the strong support of the stands. 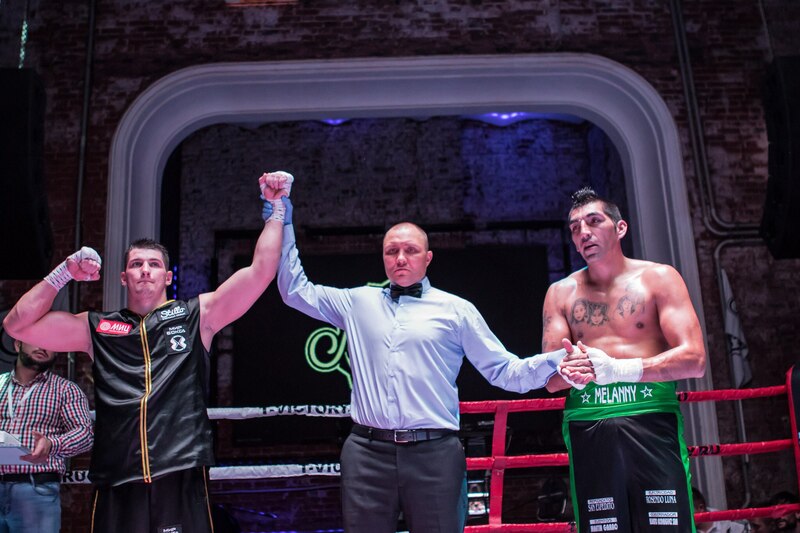 Petrosyan, meanwhile, did not hesitate to make the pressure, went to the exacerbation with sharp blows knees to the body, and superbly acted on the counterattack, demonstrating his trademark quickdraw with counterpunch of his left hand. 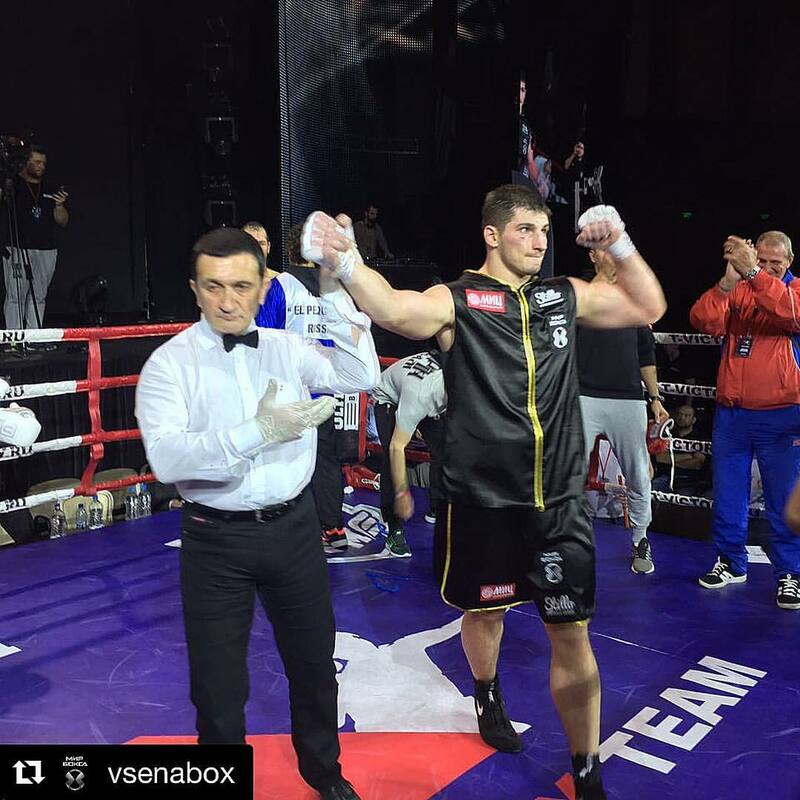 "It seems that Artem overestimated Giorgio, a little bit blown, is confused and attacks not enough" - commented the third round Vladislav Tuinov's coach Andrey Chadin who along with his apprentice closely followed the actions of opponents in the ring. It's appeared that to the fourth round Artem heard these words as well as the tips from his corner and remembered that went to the ring in the champion status. No longer shy, he began to carry out the attack and began to hit the mark. It turned out that one can speak on equal terms with the great Giorgio Petrosyan. However, by this time "Doctor" was too developed his success. 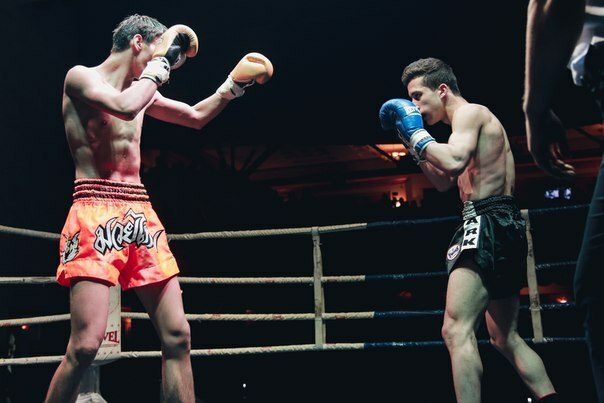 All sharp thrusts of the "Spur" were offset due to the responses of Giorgio, who confidently taking the first half of the fight, and won the whole fight by unanimous decision. 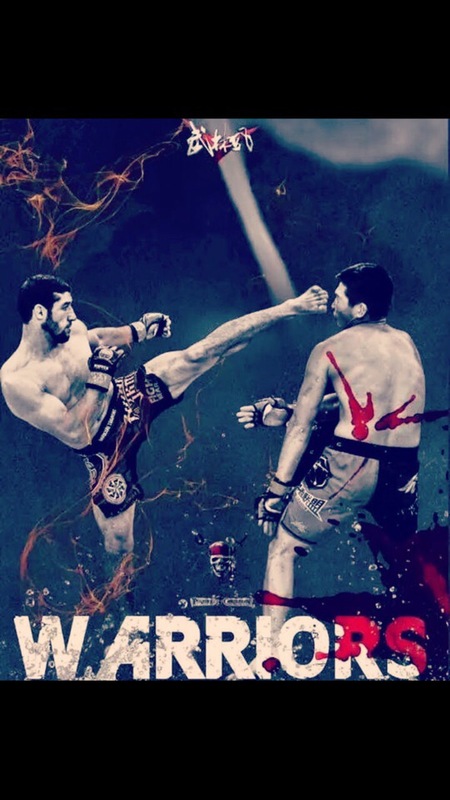 It was brilliant opposition, but it seems that both fighters could make more. 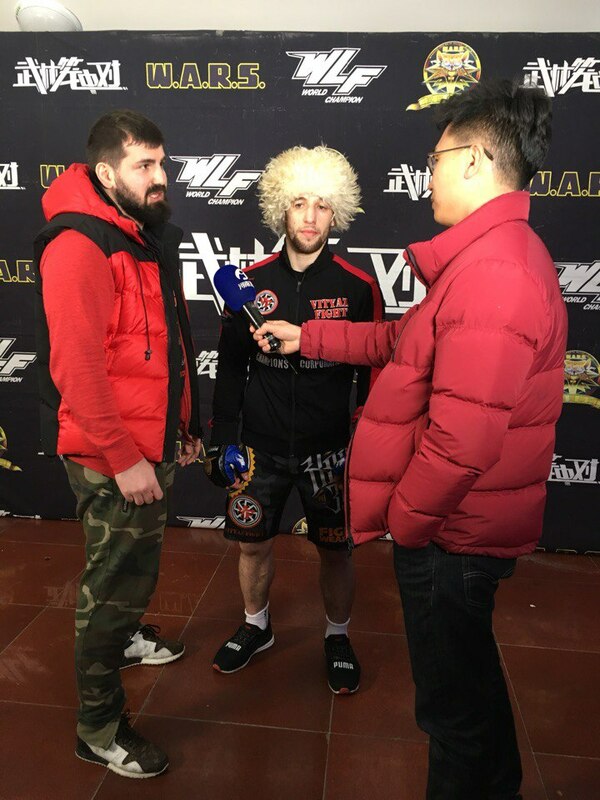 While the "Spur" had been trying to get used to the opponent's status, Petrosyan was also in no hurry to force the bout's rhythm, demonstrating that, despite the high level of skill, he is not inclined to underestimate the opponent. The fight Pashporin Vs. Petrosyan left the distinct impression that not all was said between the rivals, and really want to see the continuation of that exciting dispute. In the main card of the tournament spectators also witnessed the two title fights. 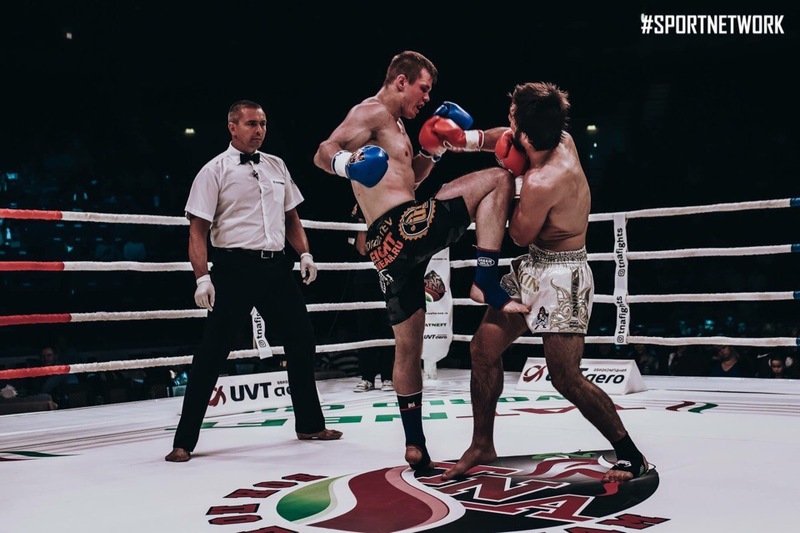 W5 World champions list was updated in the division up to 61 kg when the Russian Timur Nadrov sensationally and at aggressive way knocked out Sergio Wielzen in the second round, demonstrating the destructive power and high-speed punches. Alexander Stetsurenko brilliantly defended his W5 world title champion in the 81 kg, having the bright 5 rounds long battle against well-known representative of Slovakia Vladimir Idranyi. 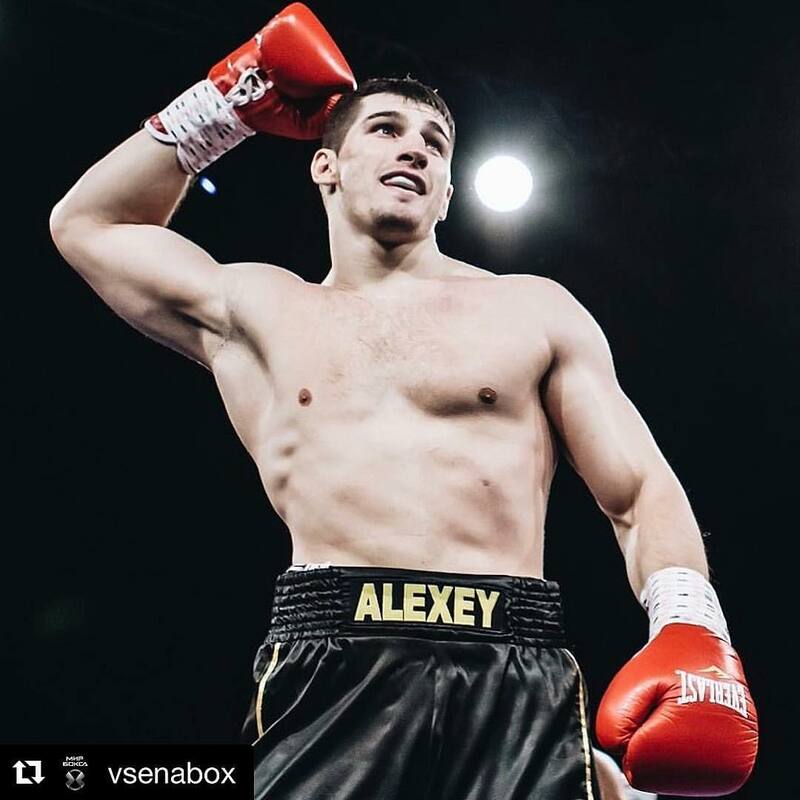 Vlado who also is high skilled fighter succumbed to Alexander in boxing and speed although sometimes he was very dangerous by catching Stetsurenko at the moments when had he let down his hands. 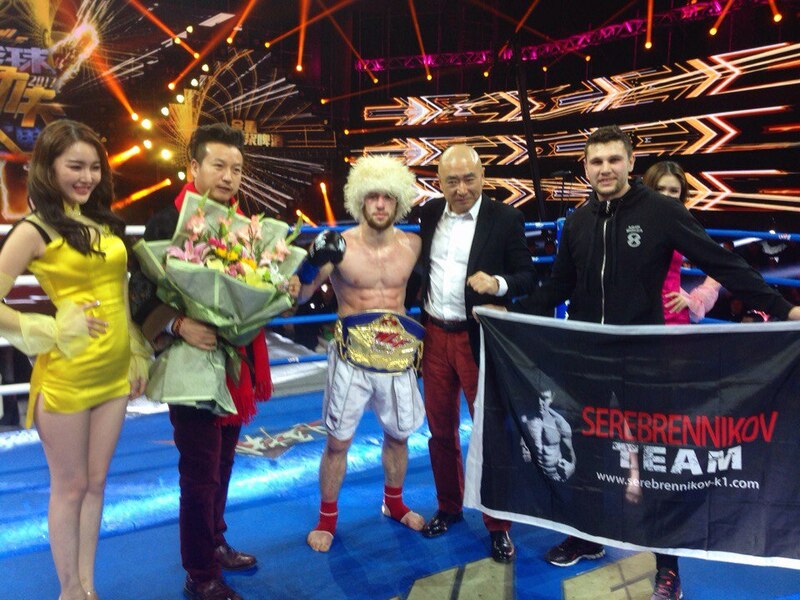 Vladislav Tuinov made the audience detonate by his blitz-fight against Ali Cakir of Turkey. Cakir began to work, using his height advantage and trying to keep distance. He made the impression of the fighter with fast and tough punches, but Vlad quickly came closely to Turk and turned the fight in the direction he needed. 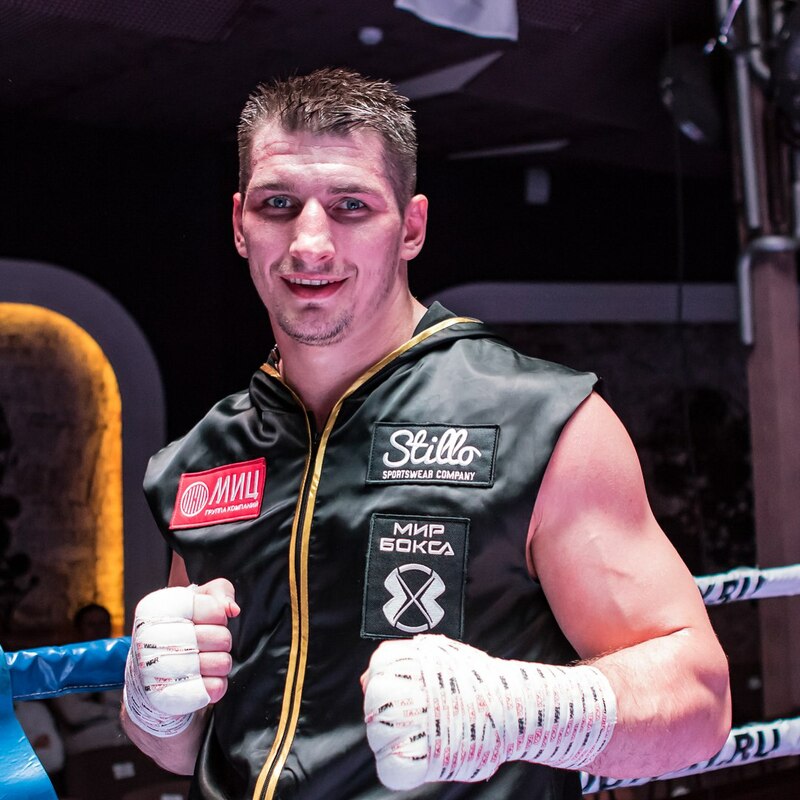 Firstly, Tuinov, which, by the way, even more added in physical power, caught the opponent with the straight right punch and referee Denis Sidenko counted the first knockdown. This was followed by a short hunting and Vlad performed his trademark spinner which this time has worked one hundred percent, and Vlad made a second knockdown in the fight. Turkish athlete, staying on his feet, made it clear that he is ready to continue the fight to be smashed up in few seconds near the ropes. 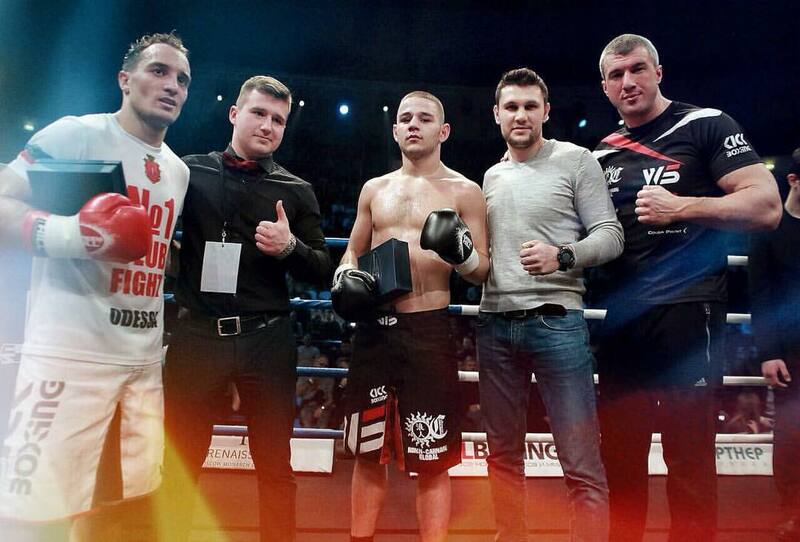 Denis Sidenko called the fight at the beginning of the third minute of the first round. 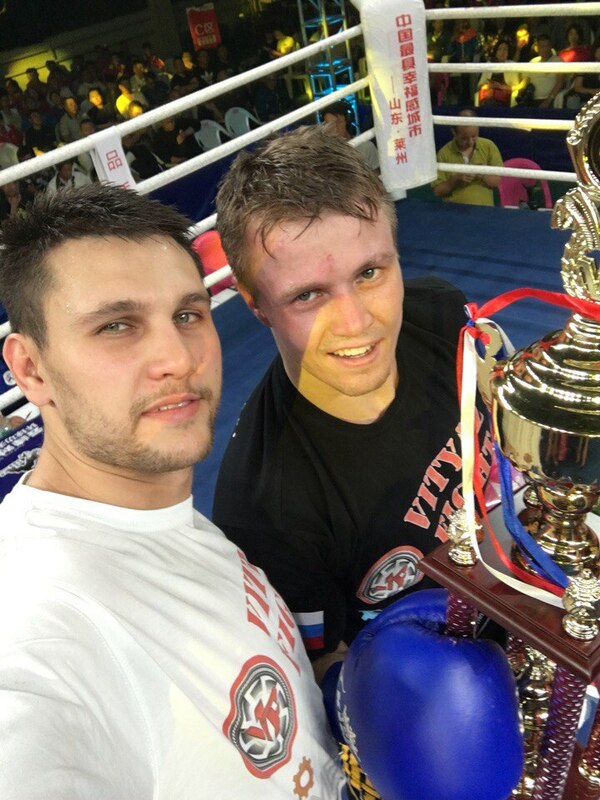 The convincing victory of Vladislav Tuinov and the bright start of the year for the W5 European champion. 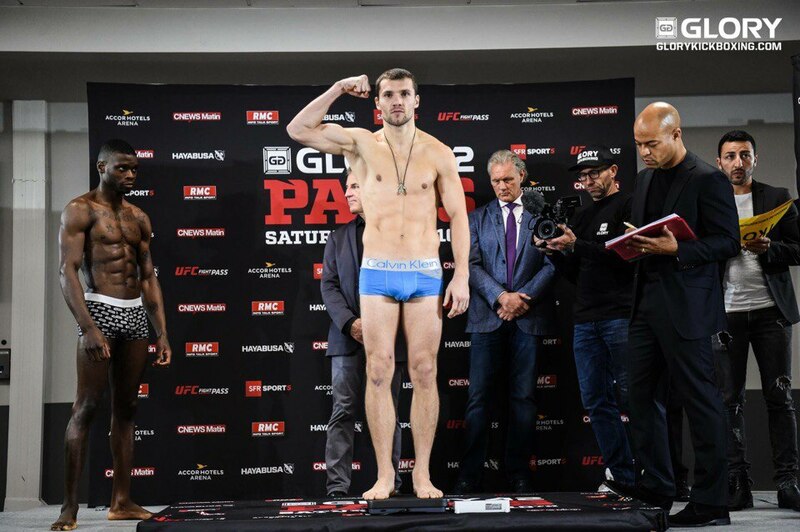 Stanislav Kazantsev, who from the weigh-in procedure looked more athletic than his opponent Marko Adamovic of Serbia, logically began the bout in the power and stiff manner by firing jabs and middle kicks from the distance. Adamovich replied sharply, occasionally hitting by the hook to Stanislav who sometimes was playing too enthusiastically. In the third round, Kazantsev managed to knock Marko down via the left high kick when Serb went forward with hands down. 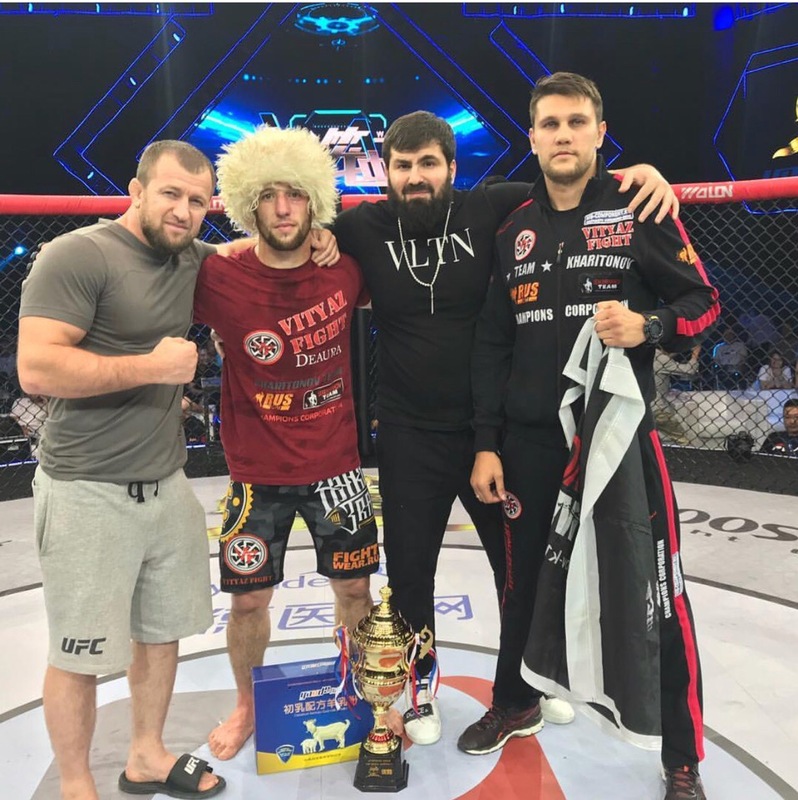 Adamovic, which has got a remarkable fighting spirit, succeeded in bringing the fight to the end, but Stanislav seemed preferable and more powerful. 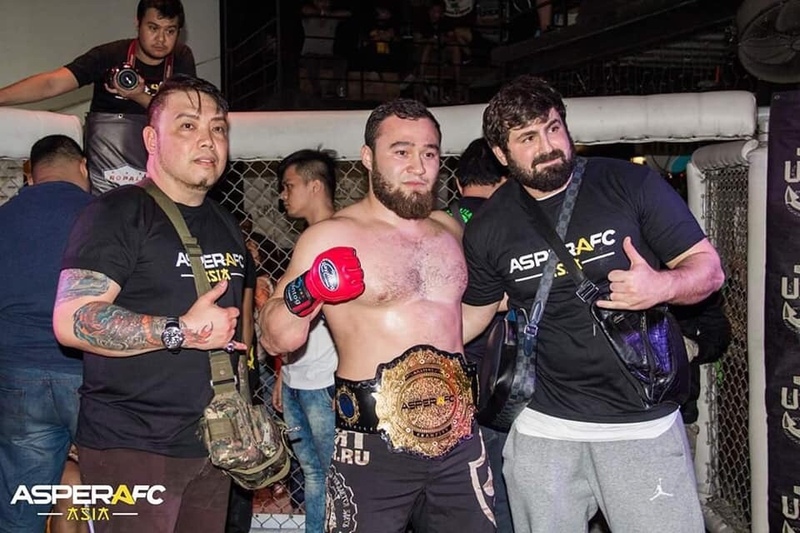 The famous Chechen fighter Turpal Tokayev, representing the colors of the club, "Ahmad", held technically match against the representative of France Abderahmane Coulibaly. 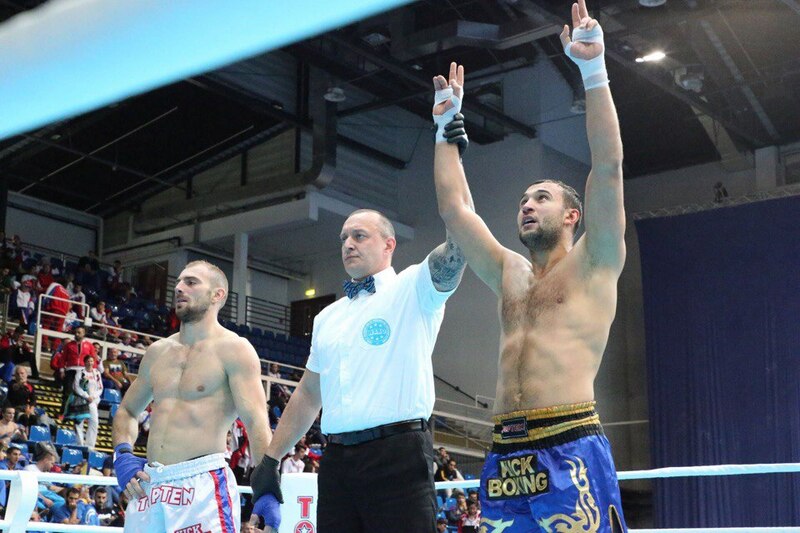 The Frenchman began briskly, hitting the weighty uppercut to the head of Tokayev, but Turpal quickly besieged opponent, giving him the power rasprobovat hard jab. 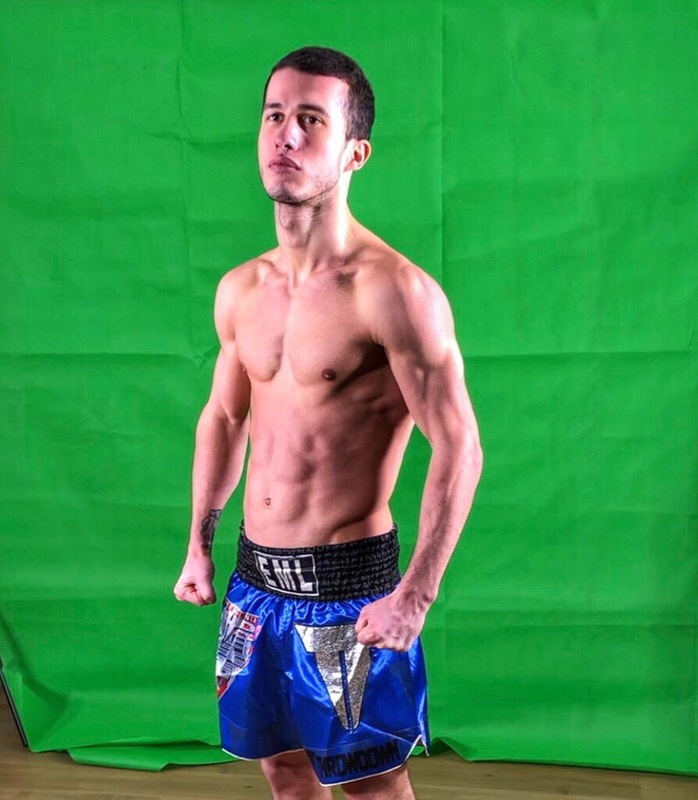 Subsequently, the fight looked like Tokayev superior opponent in speed, but Coulibaly periodically found gaps in the opponent's defense, in that, and flew weighty side and uppercuts. 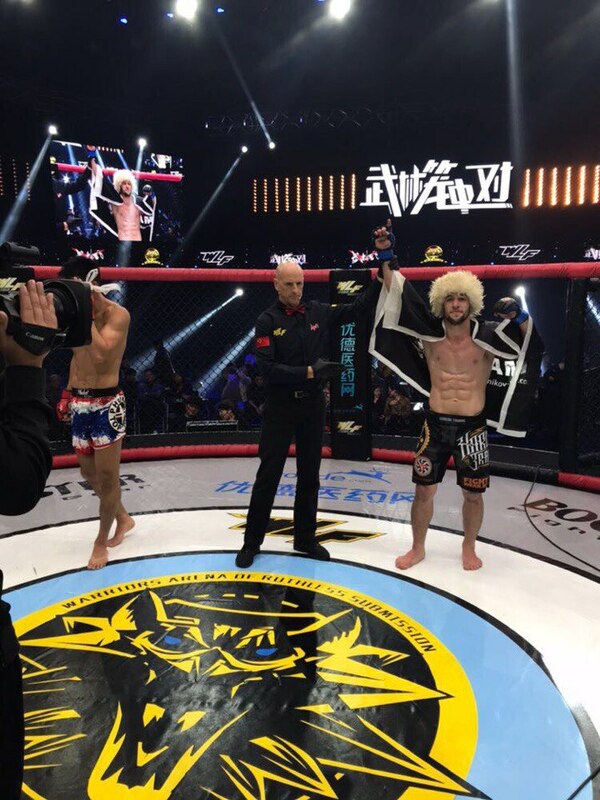 In the third round Tokayev held a few strong blows and shook Coulibaly, who after the reference did not respond to the call of the referee to continue the fight, for which he was defeated by TKO. 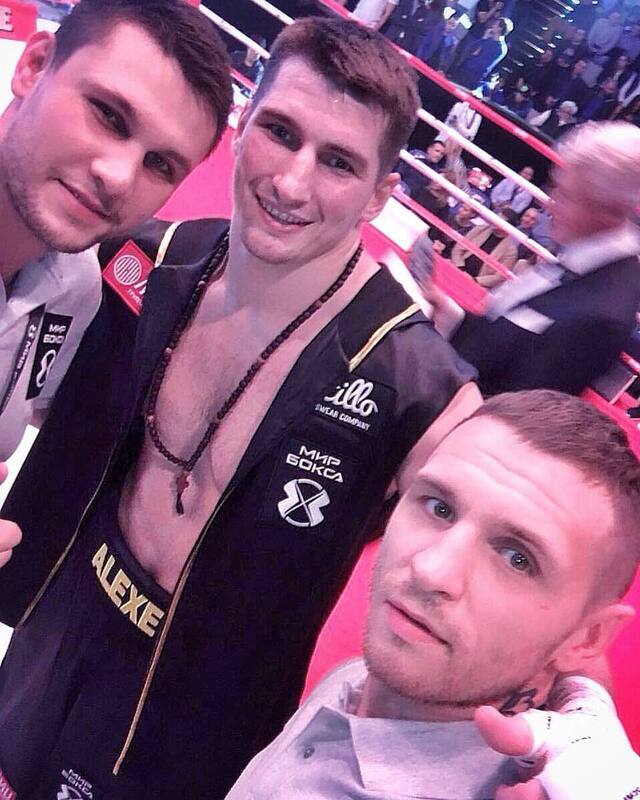 The Records Rashid Salikhov recorded its first defeat in the ring W5, which, according to the unanimous decision of the judges, he struck Belarusian Maxim Spodarenko. Both rolled a real war in the ring in the first round Rashid looked tougher and more preferable, but the rest of the time a significant part of his strikes came in the box. Maxim was more prudent, using his advantage in experience. 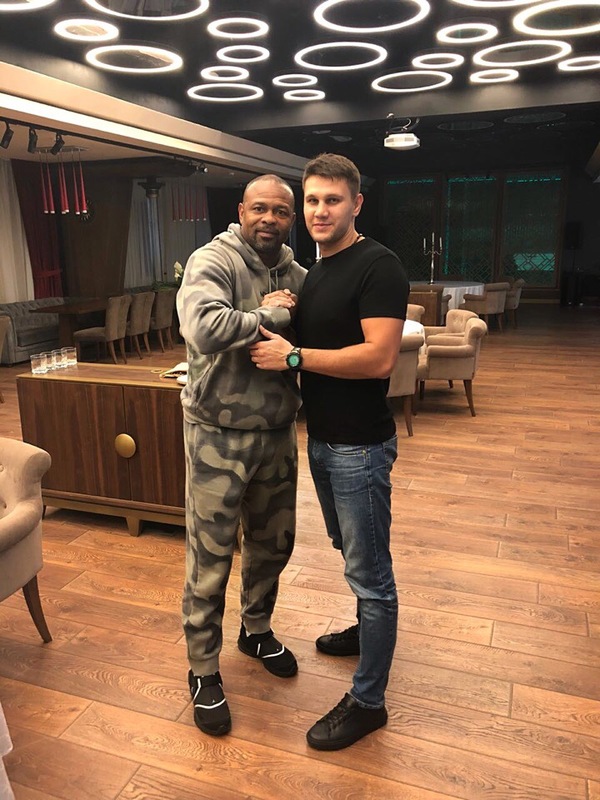 Ivan Semiglyadovu managed to split the "Flint" Ruslan Atayeva, although initially he was forced to retreat and work the second number. 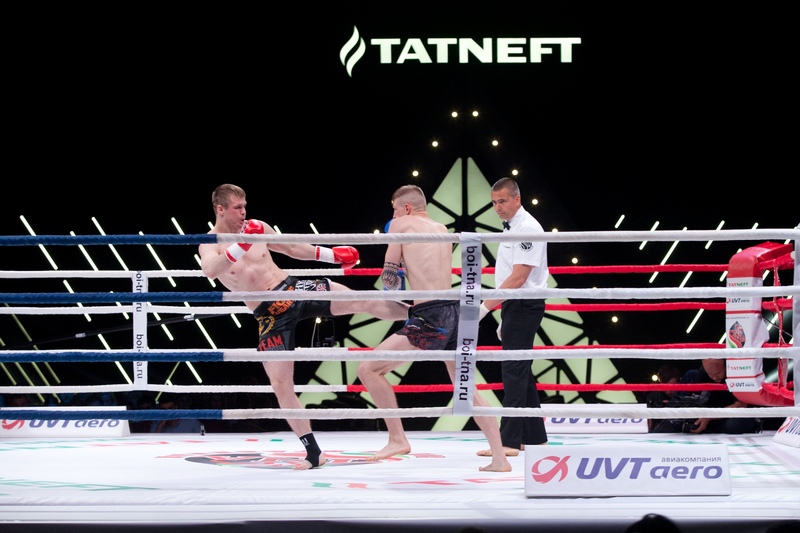 Atayev looked significantly overall and put pressure, but Semiglyadov could see all the actions of his opponent and held tight counterattack. 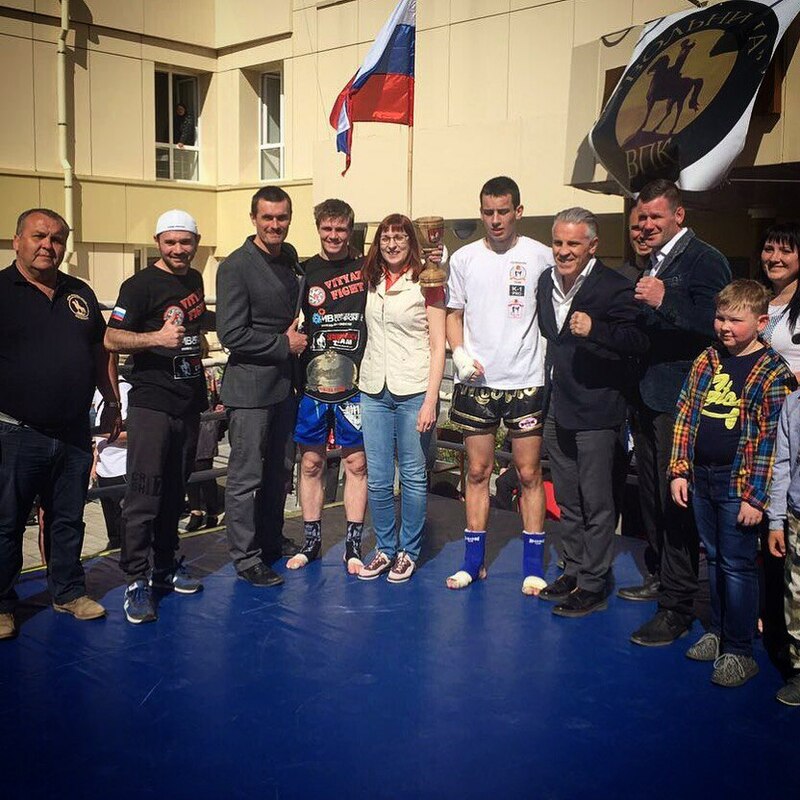 A good start for a bright representative of the Kickboxing Federation of Russia, which has shown that it can act against the most raznoplavnovyh fighters. 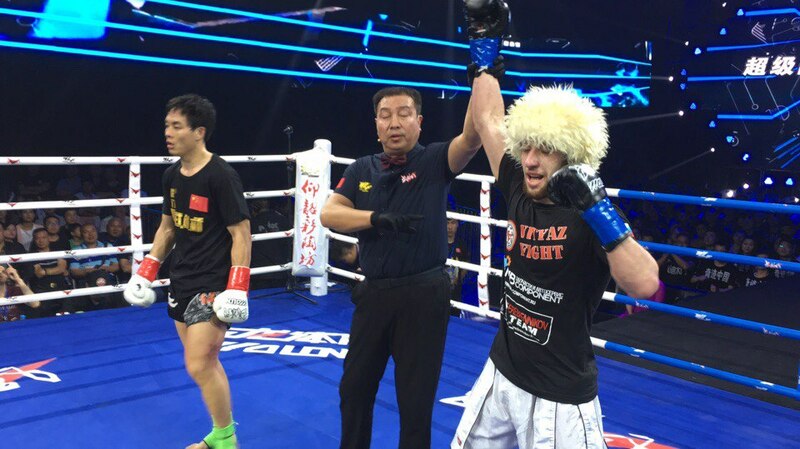 The famous Chechen fighter Turpal Tokaev representing the colors of the club, "Ahmat", held technically saturated match against the representative of France Coulibaly Abderrahmane. The Frenchman began briskly, hitting in the first few seconds of weighty uppercut to Tokaev head, but Turpal reined down the opponent quickly giving him to try the power jab. Subsequently, the fight looked equal. Tokaev exceeds his opponent in speed, but Coulibaly periodically finds gaps in the Turpal's defense and gives him weighty hooks and uppercuts. 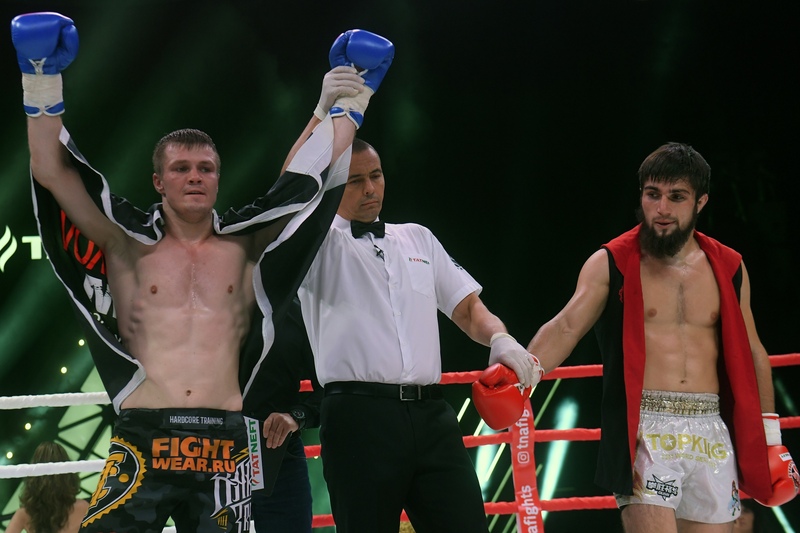 In the third round Tokaev performed a few strong blows and stunned Coulibaly. After French did not respond to ref's call to continue the fight he was defeated by TKO. 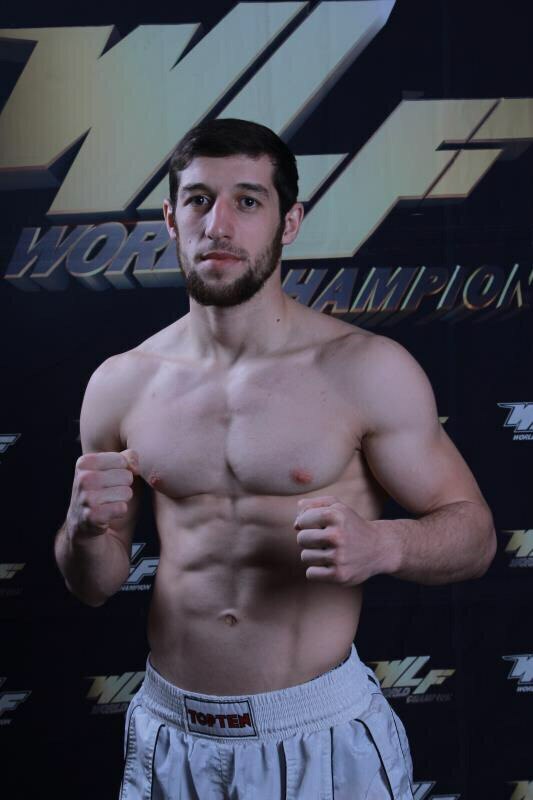 Rashid Salikhov got the first defeat in his W5 record via unanimous decision from Belarusian Maxim Spodarenko. Both made a real war in the ring and in the first round Rashid looked tougher and more preferable, but the rest of the time a significant part of his strikes came in the block. Maxim was more accurate, using his advantage in experience. 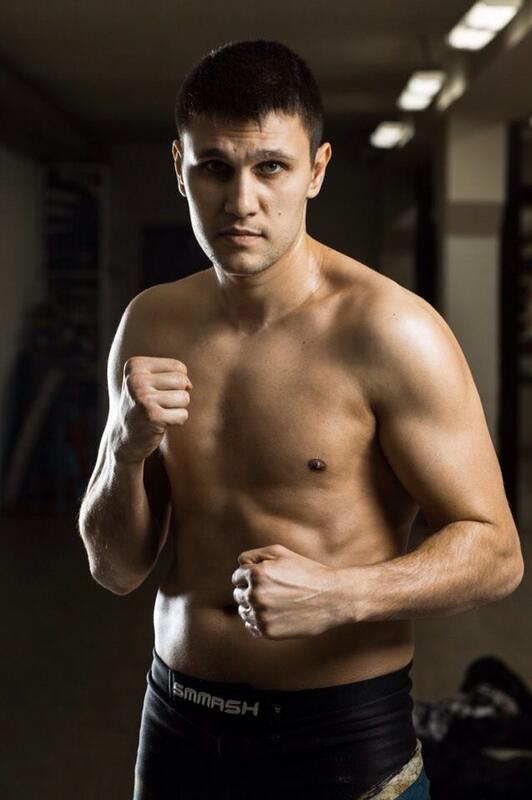 Ivan Semiglyadov managed to crack Ruslan "The Flintstone" Atayev, although initially he was forced to retreat and work the second number. 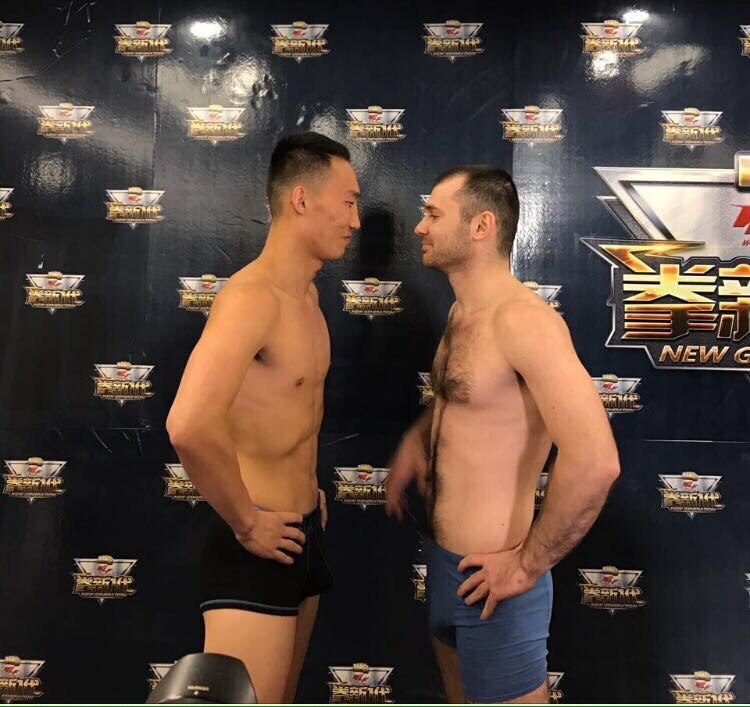 Atayev looked significantly more redoubtable and gave pressure but Semiglyadov saw all the actions of his opponent and counterattacked accurately. 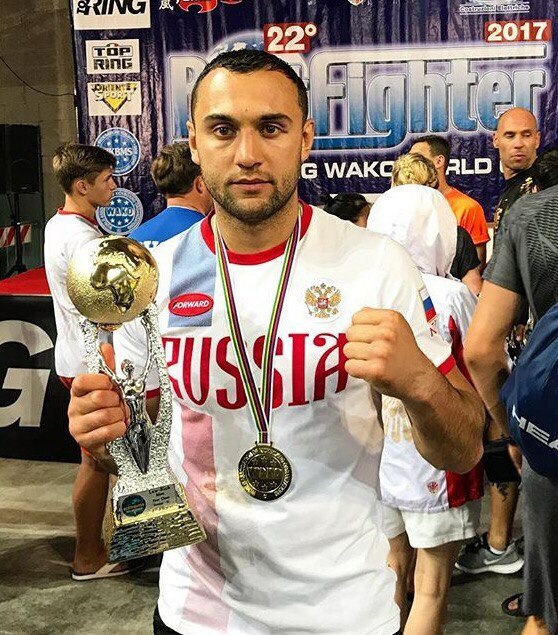 A good start for a bright representative of the Russian Kickboxing Federation, which has shown that it can act against the most versatile fighters. 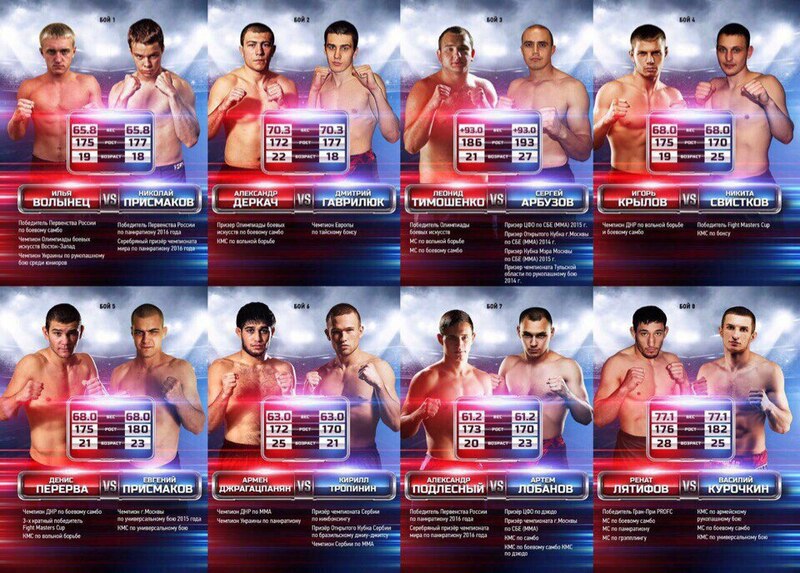 Performs on Professional Boxing 10/10/0/0 9 К.О.